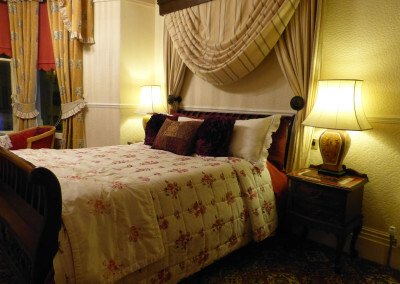 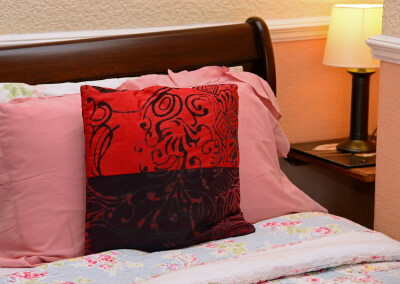 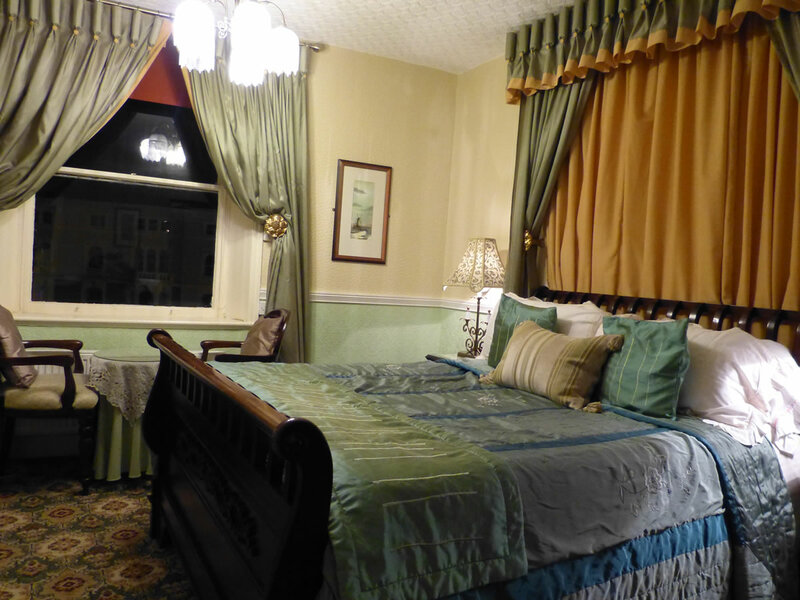 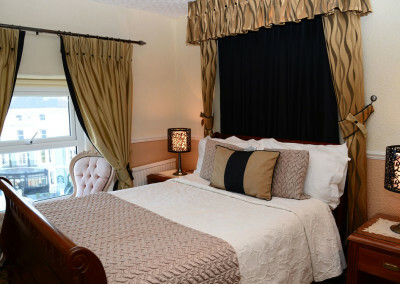 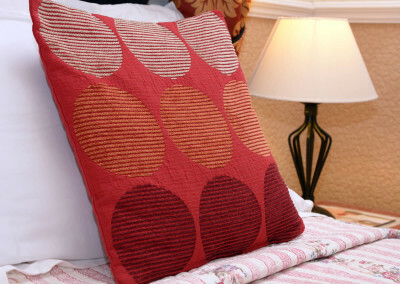 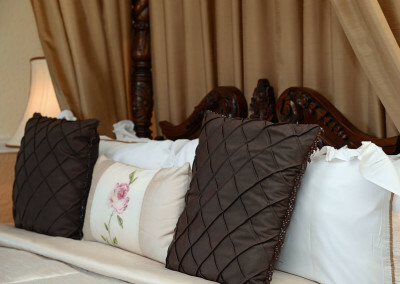 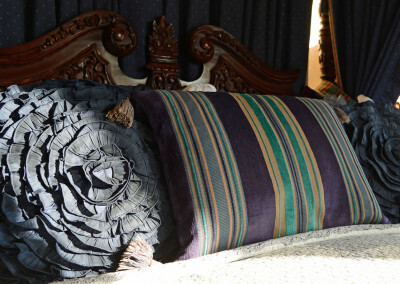 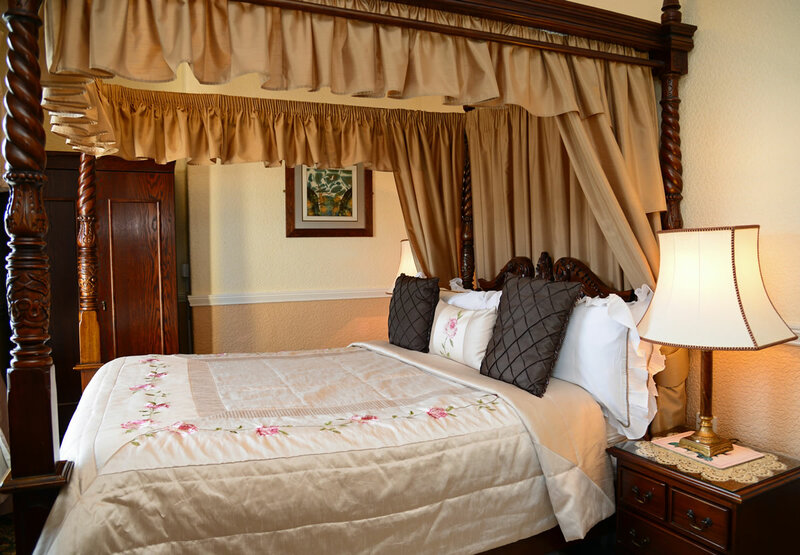 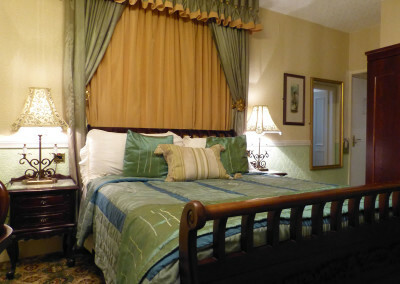 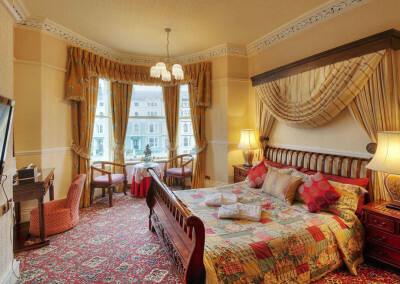 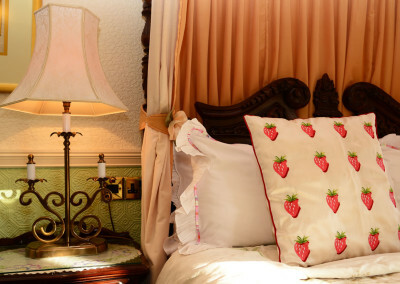 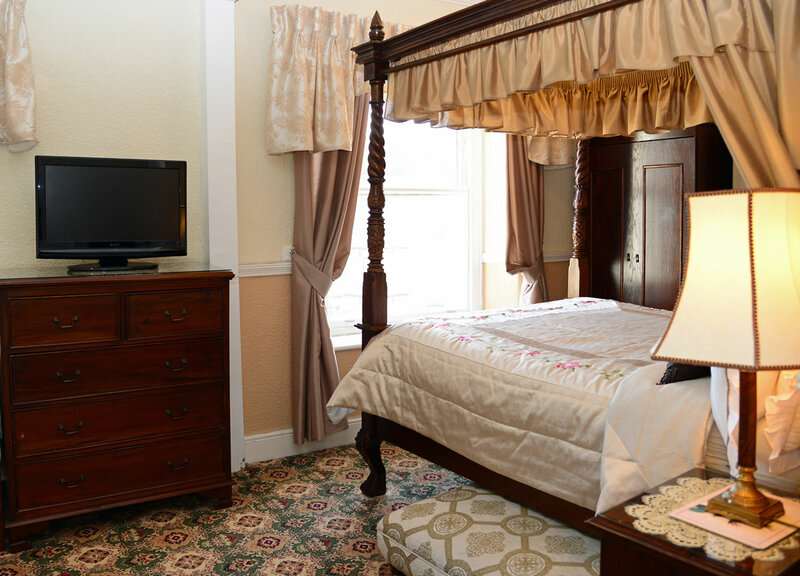 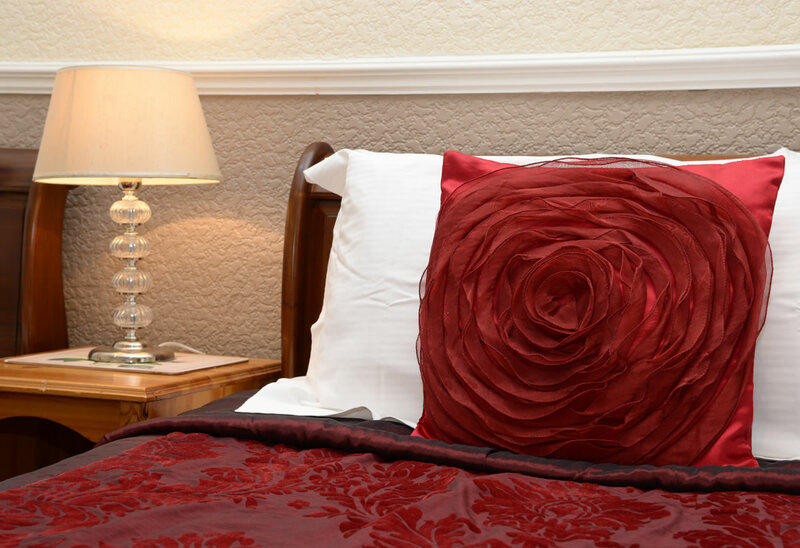 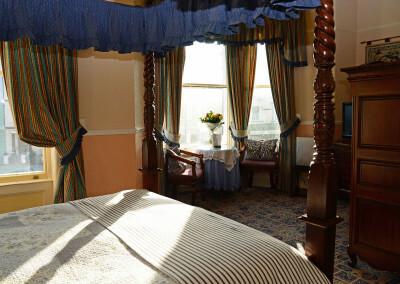 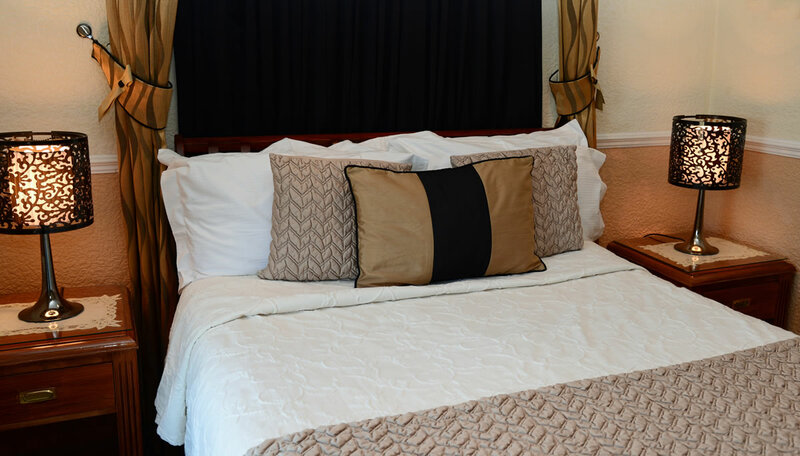 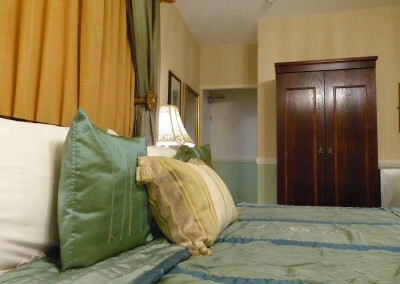 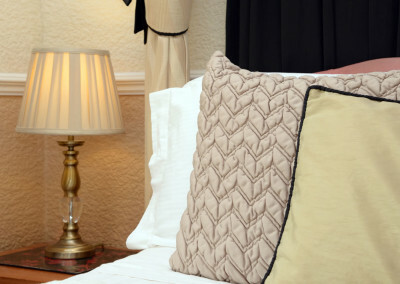 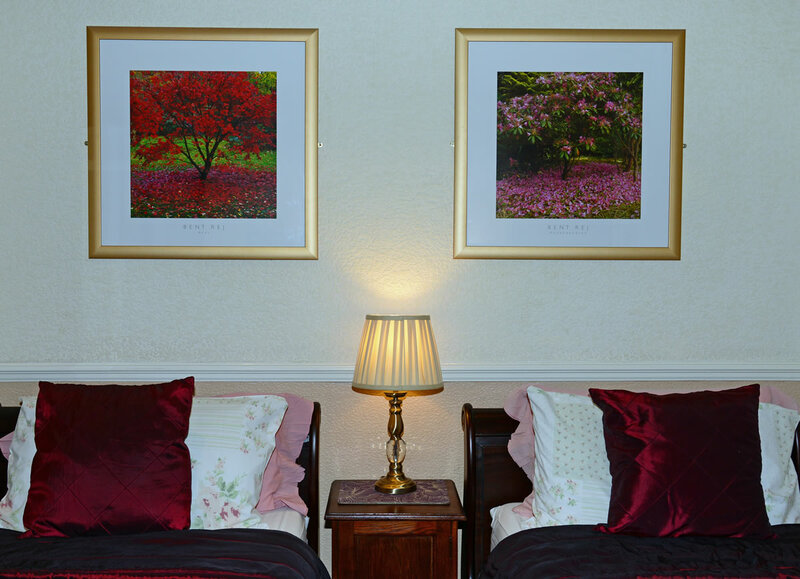 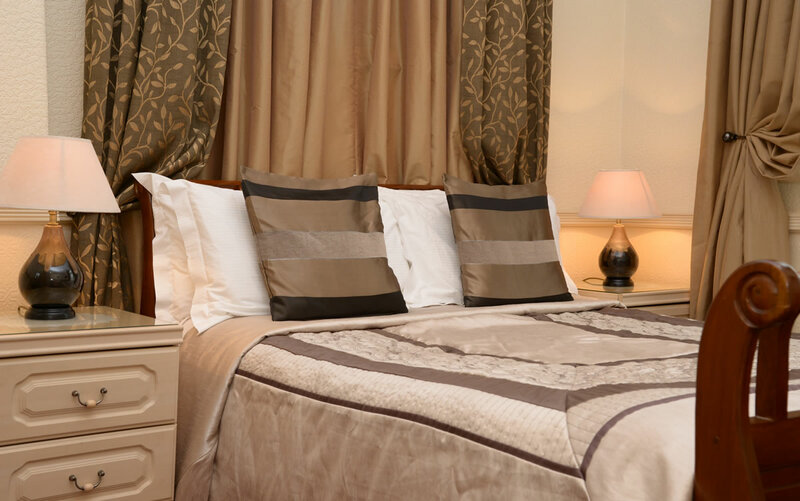 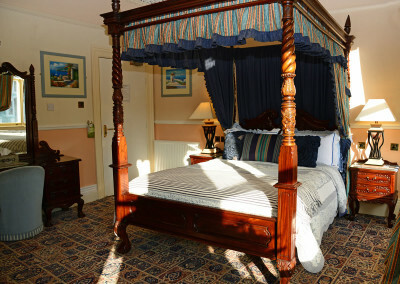 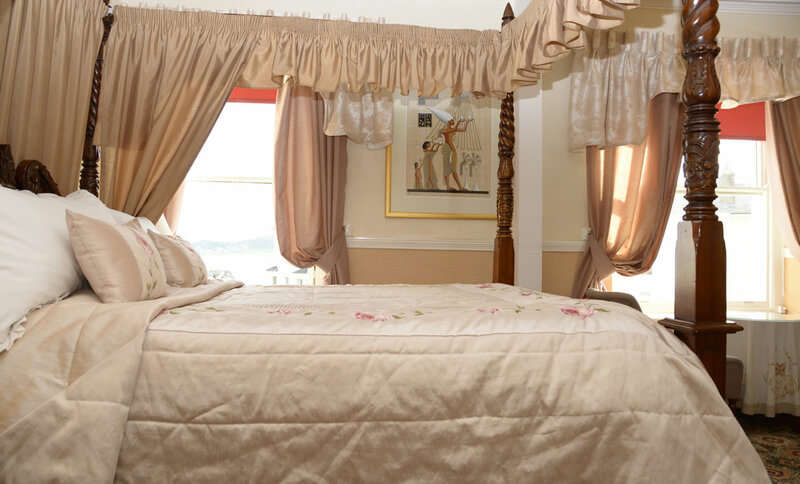 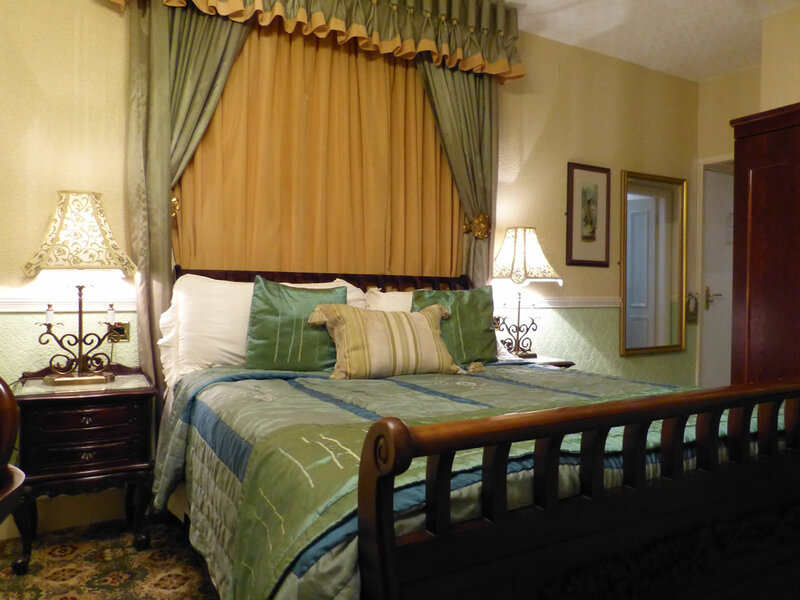 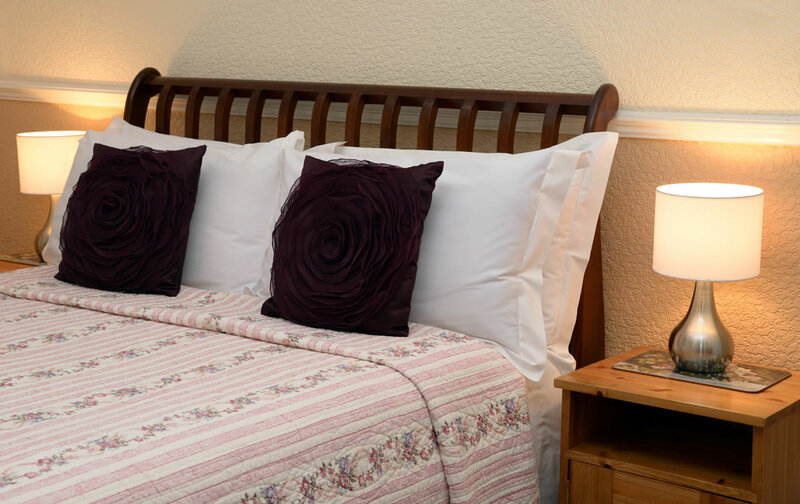 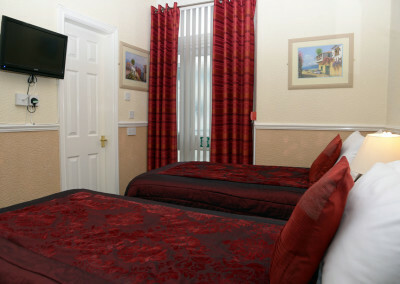 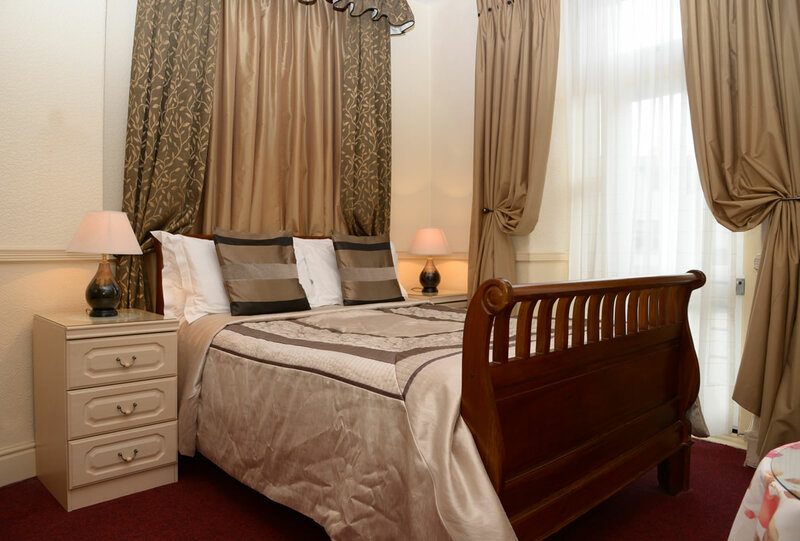 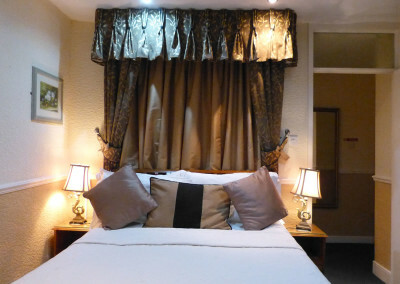 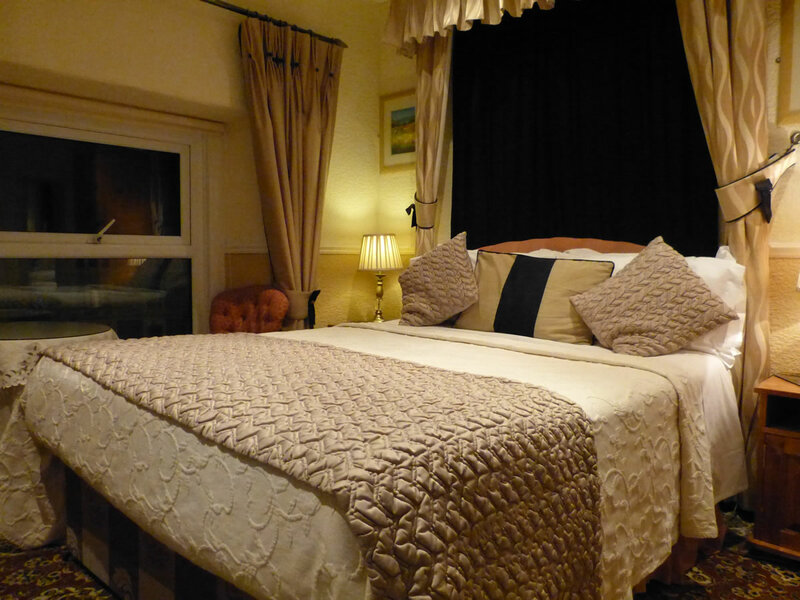 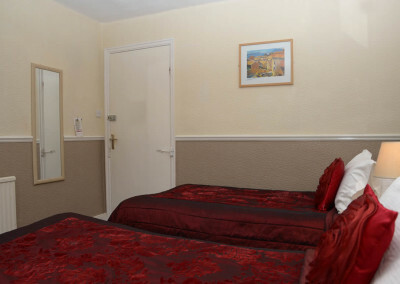 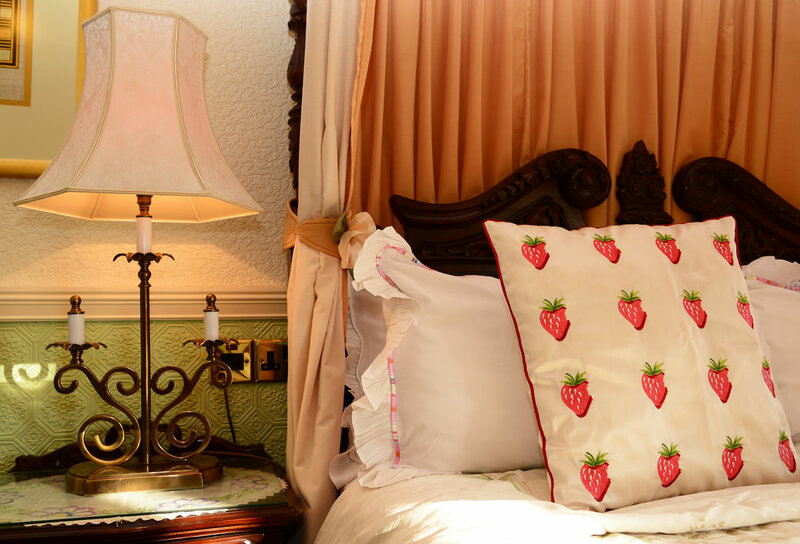 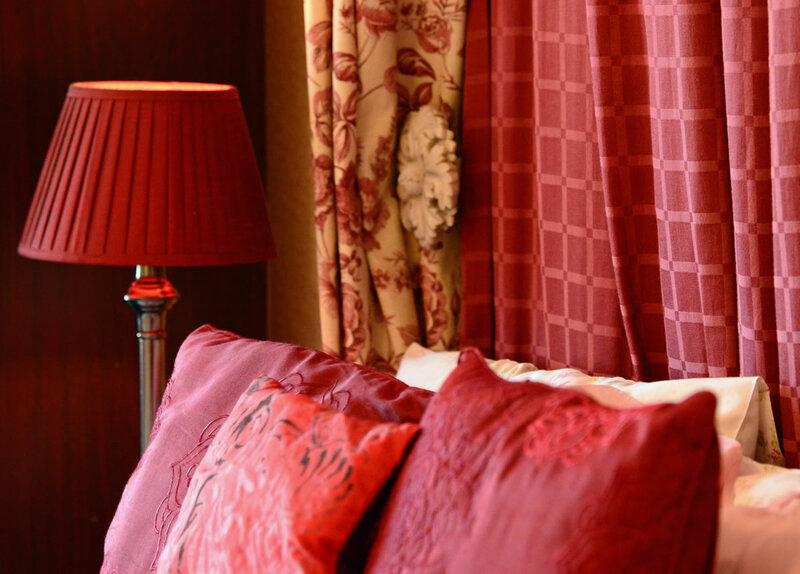 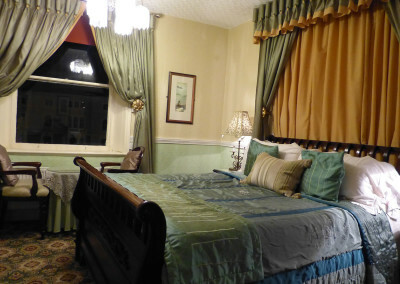 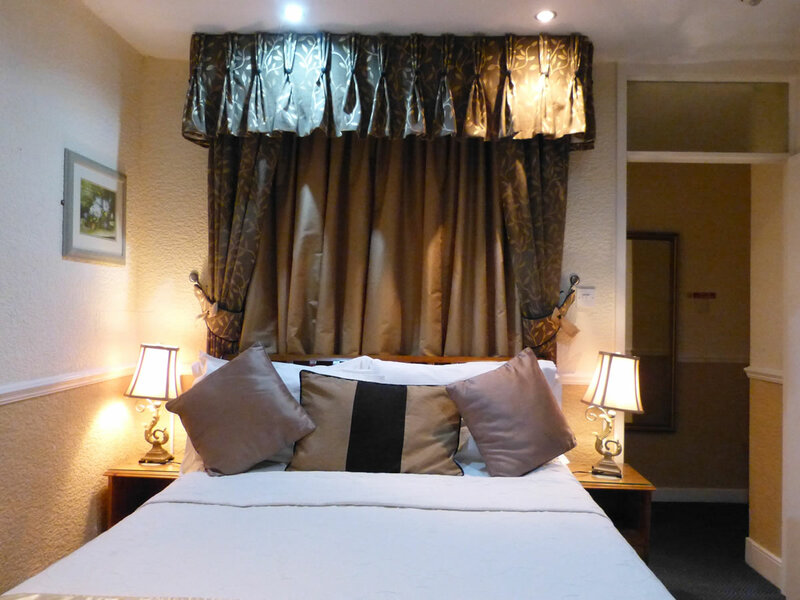 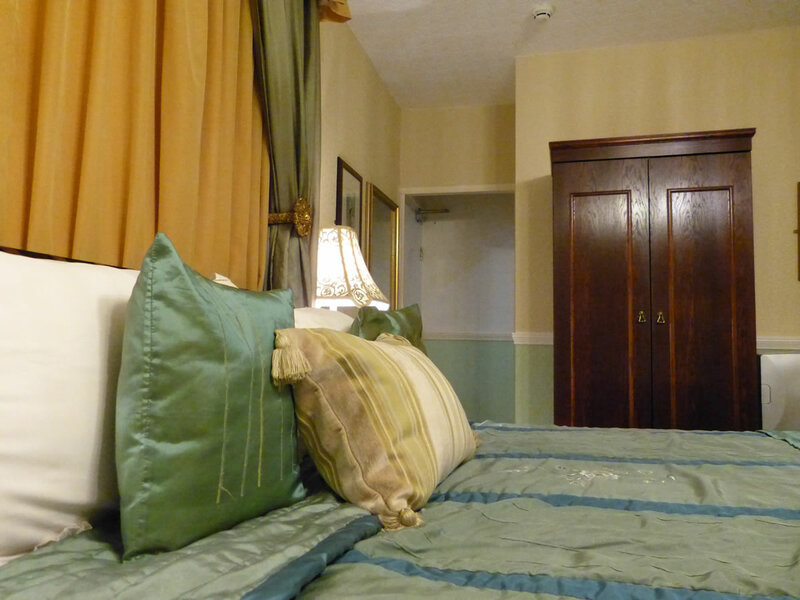 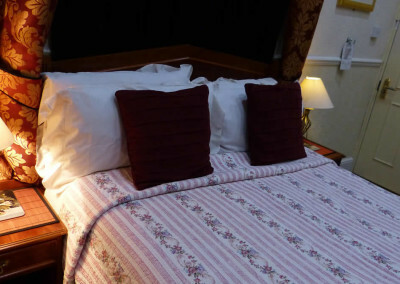 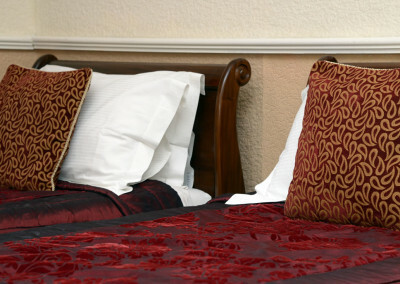 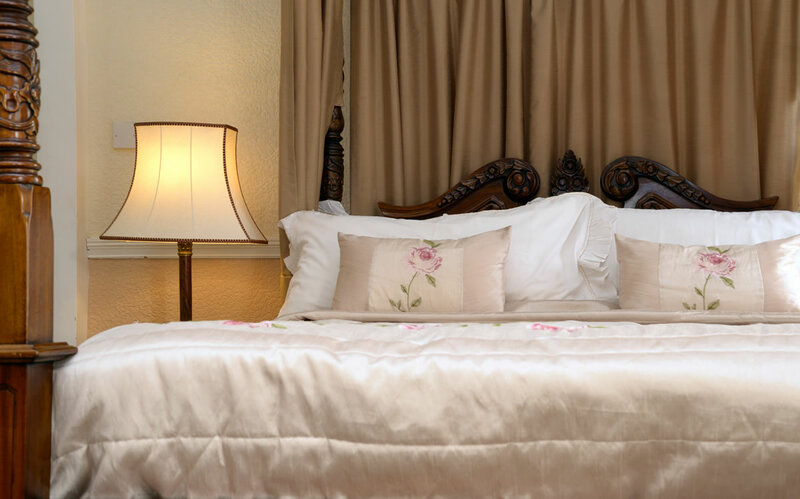 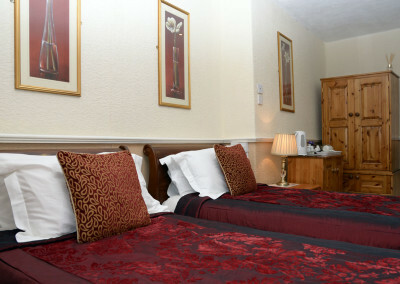 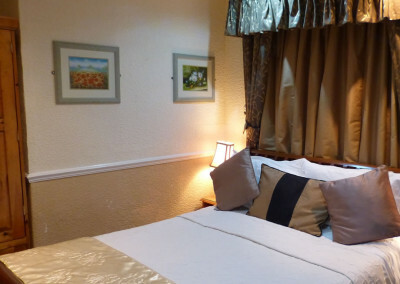 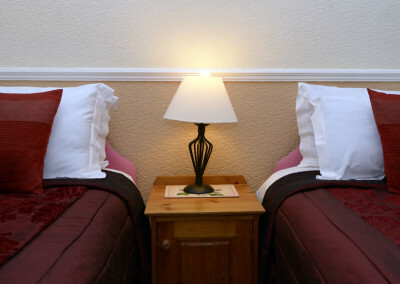 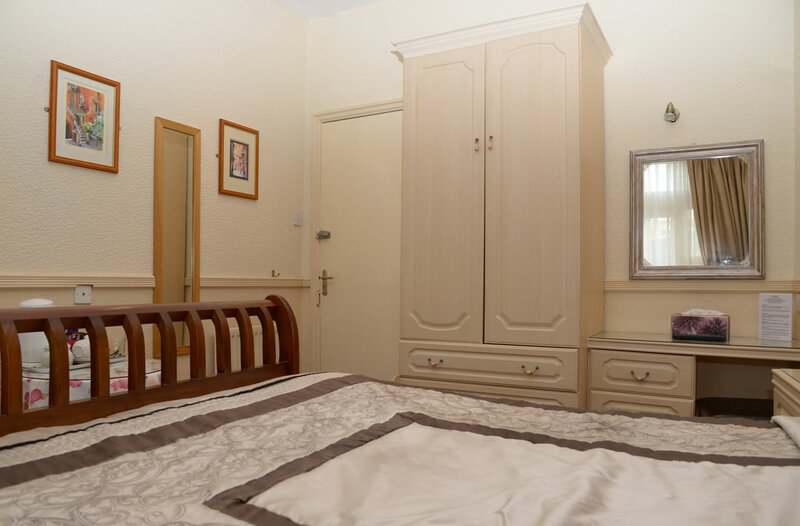 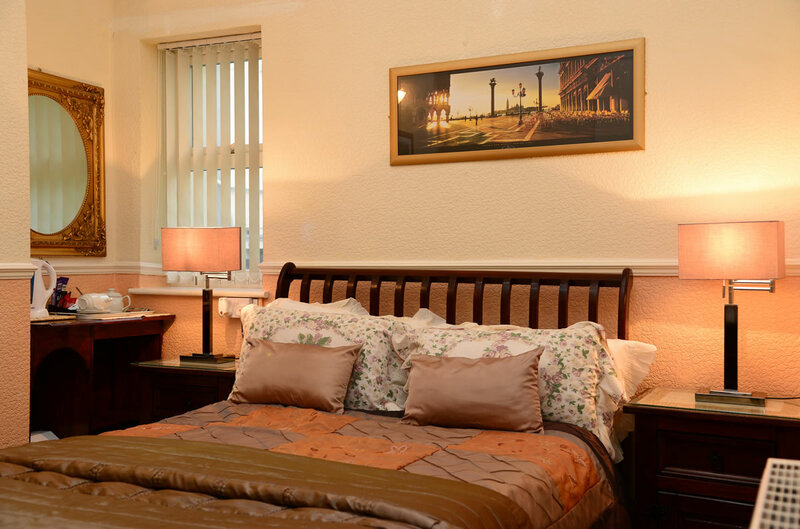 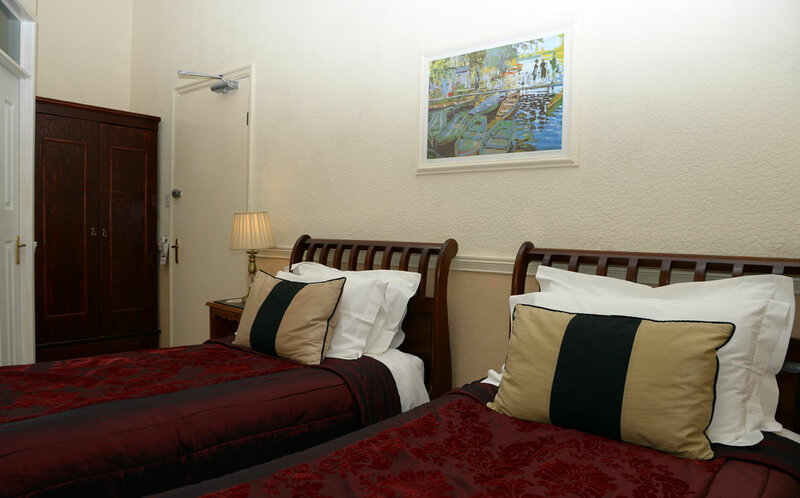 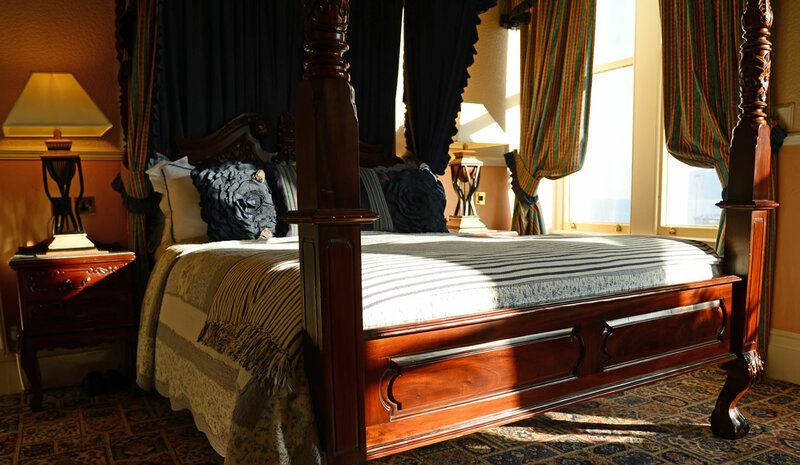 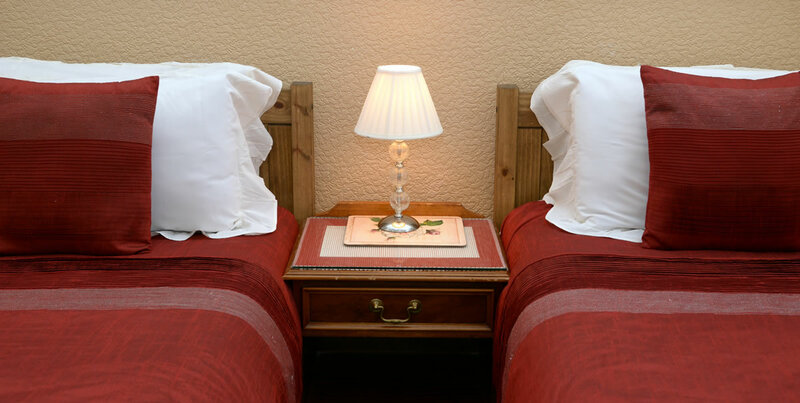 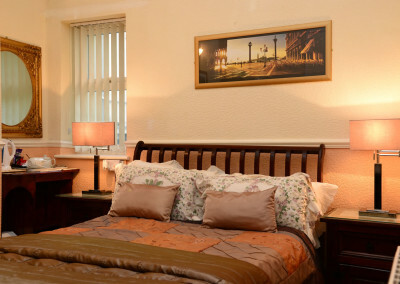 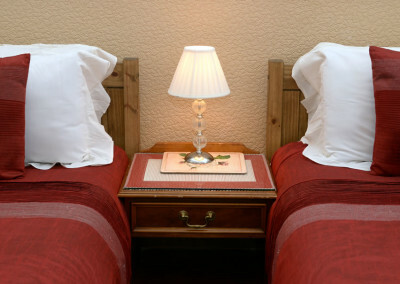 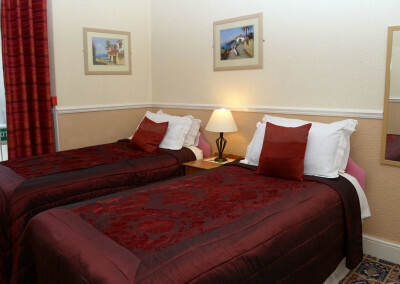 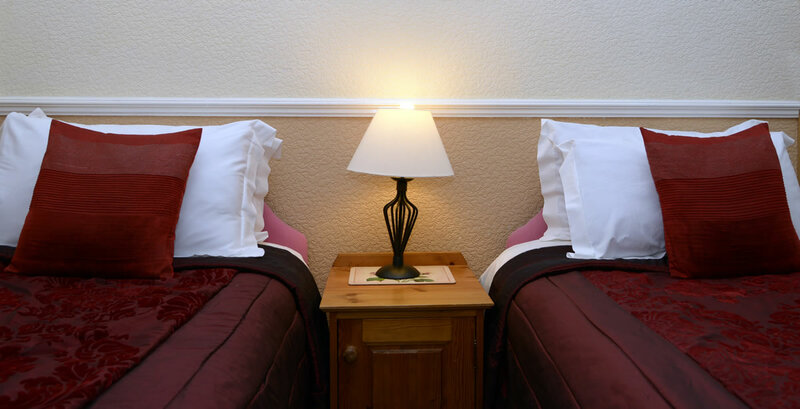 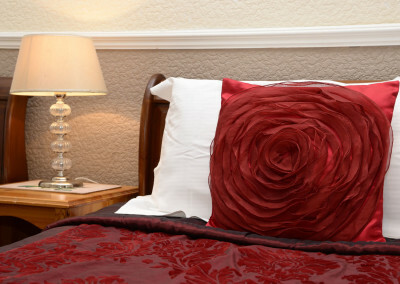 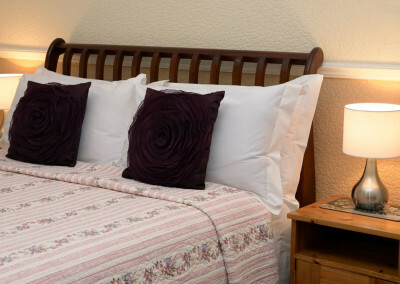 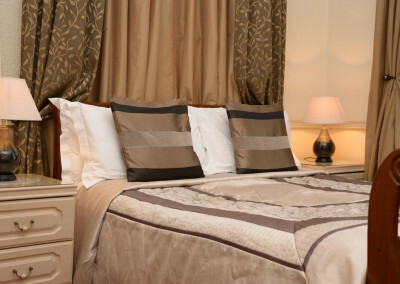 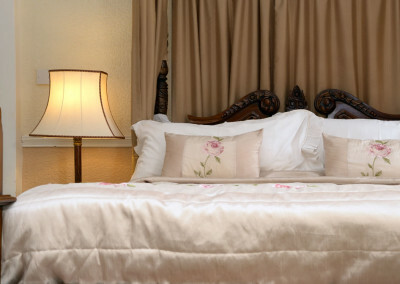 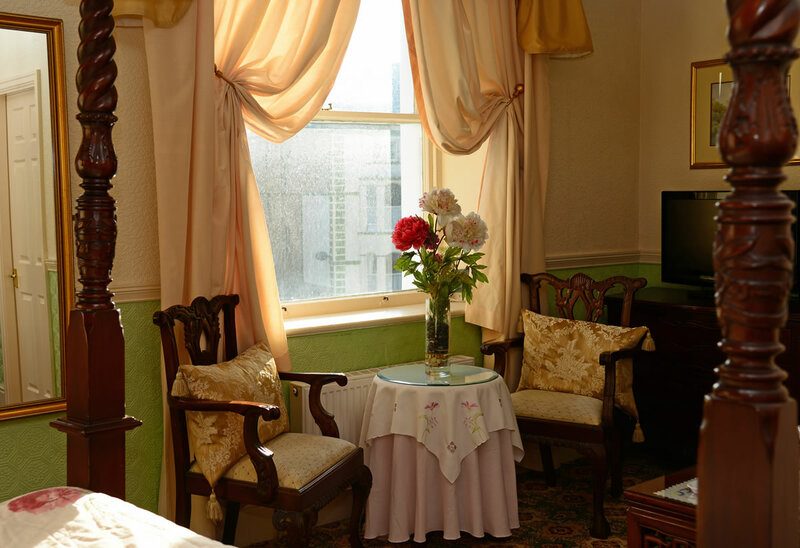 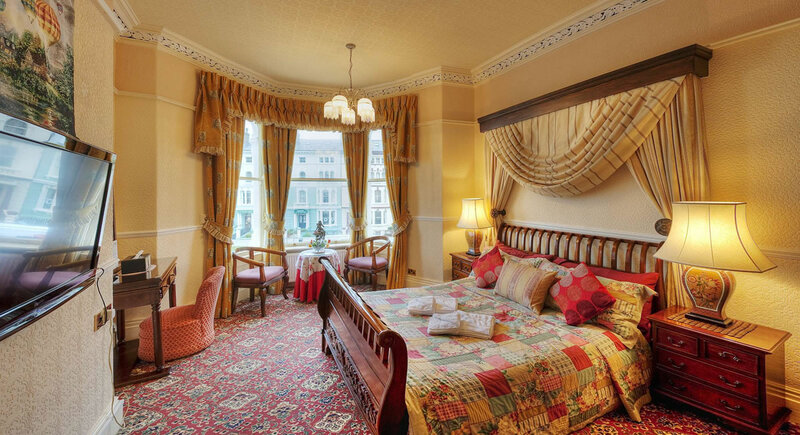 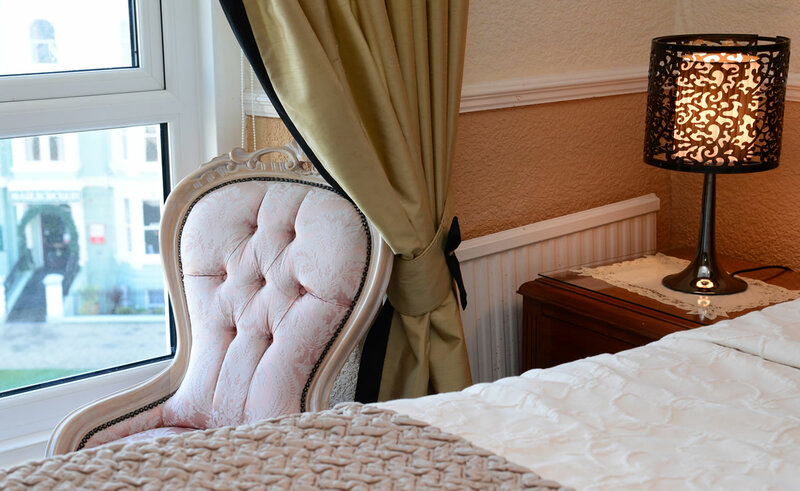 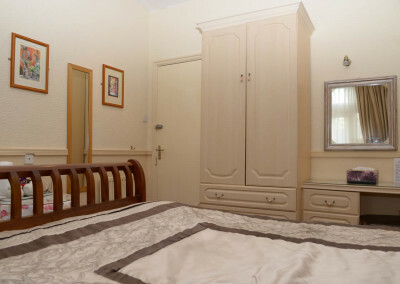 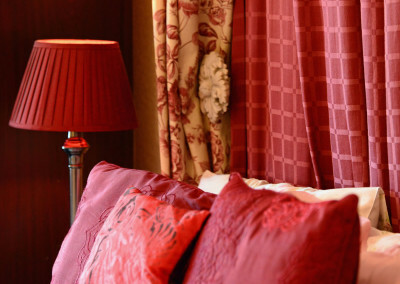 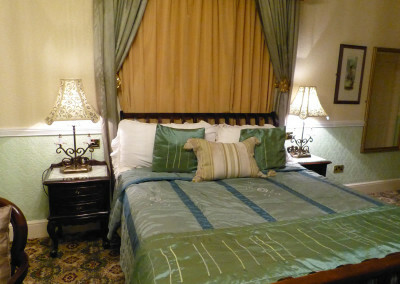 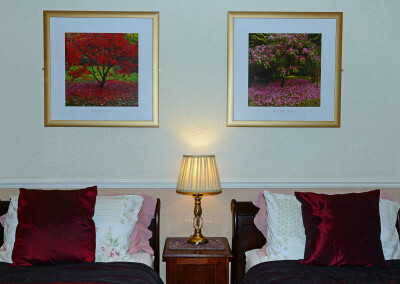 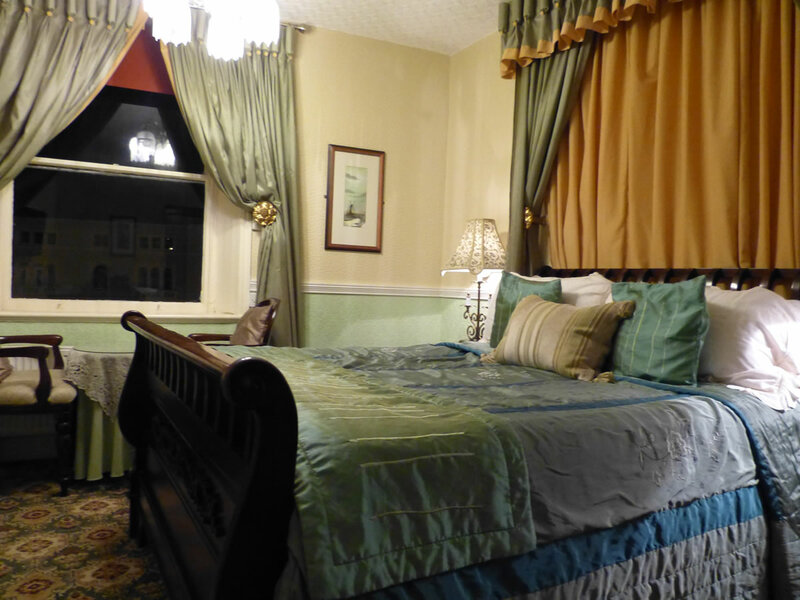 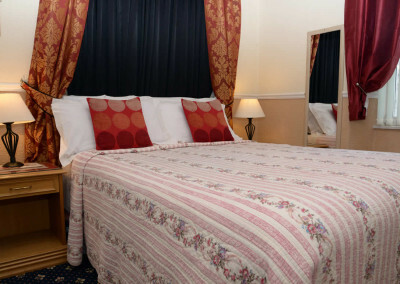 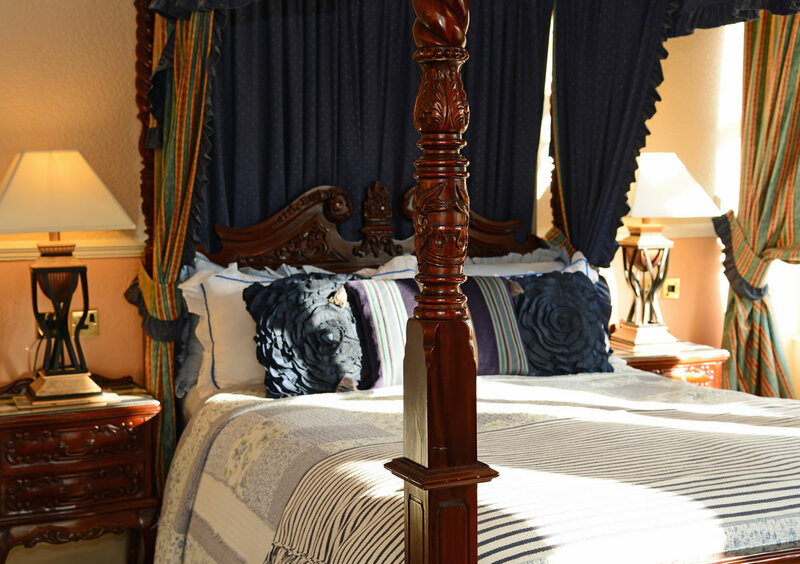 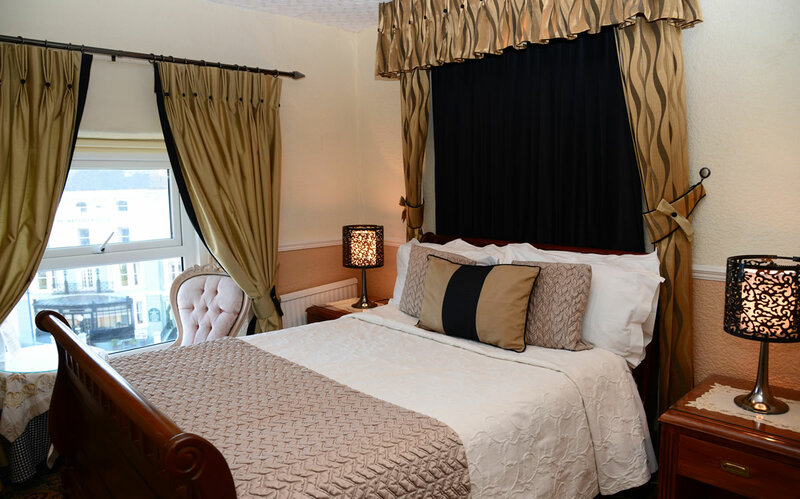 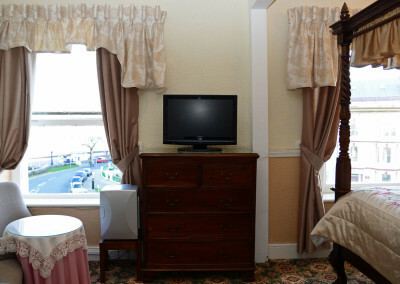 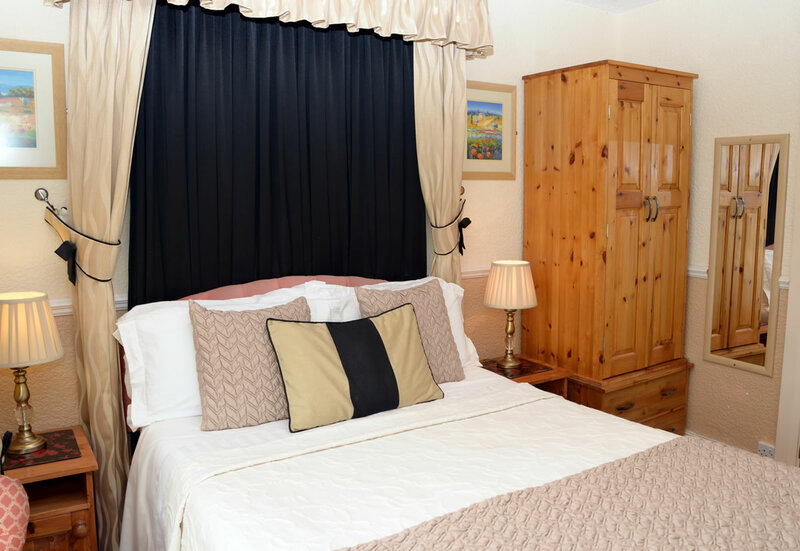 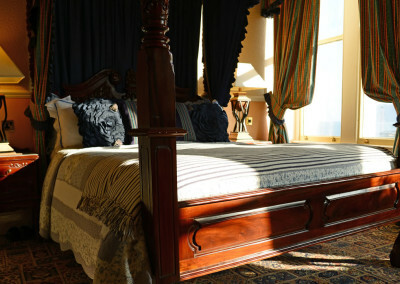 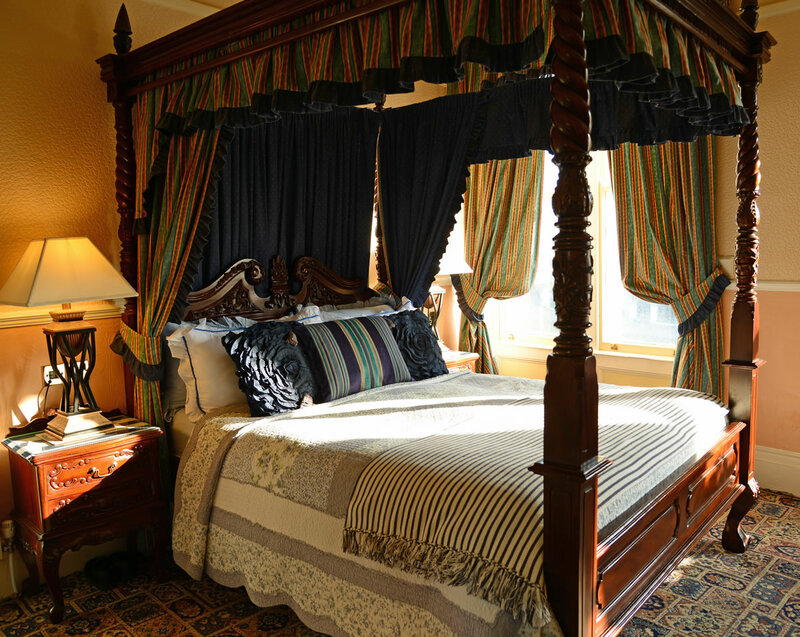 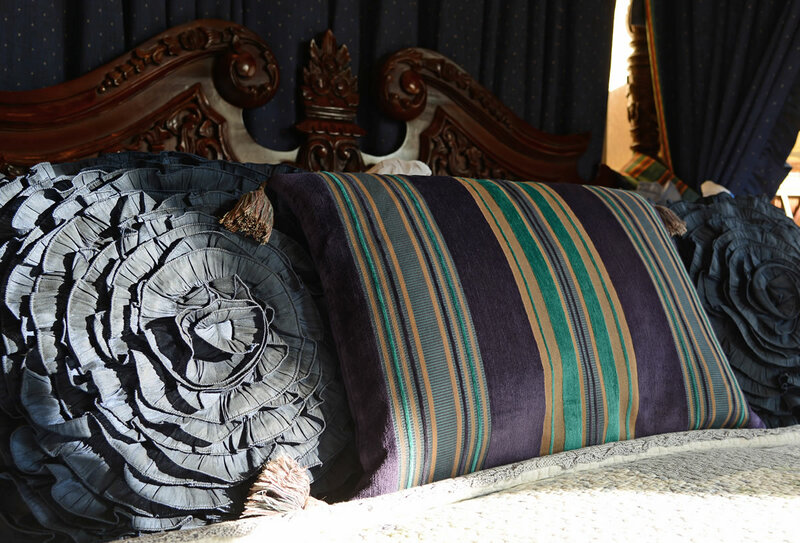 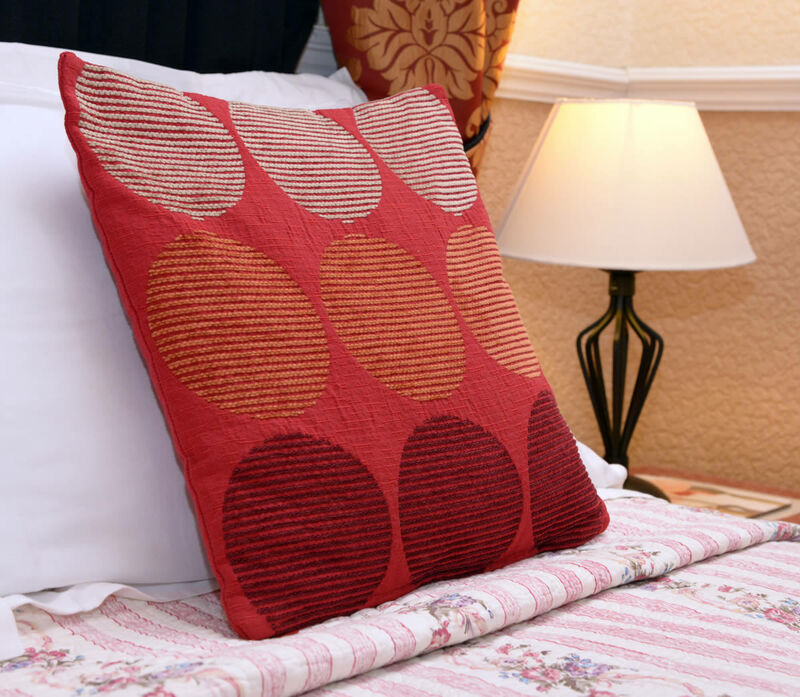 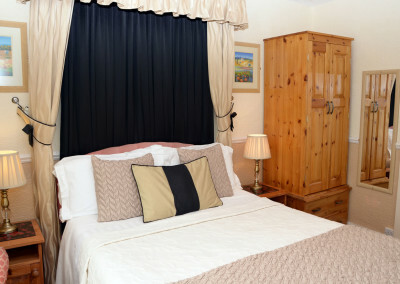 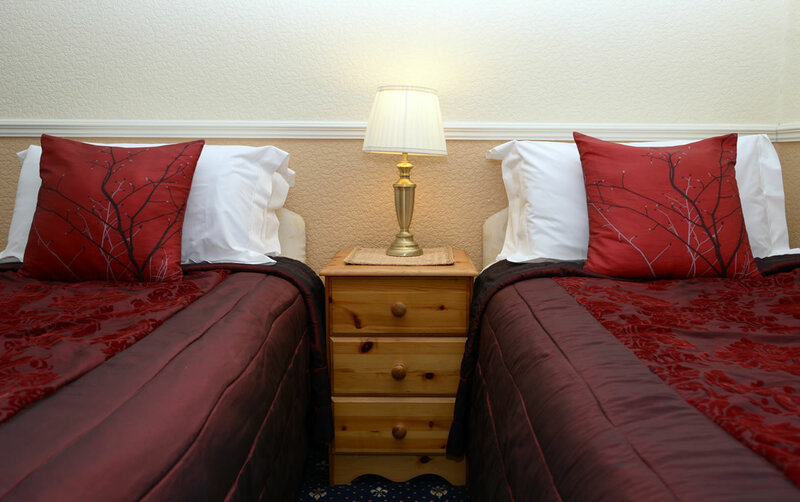 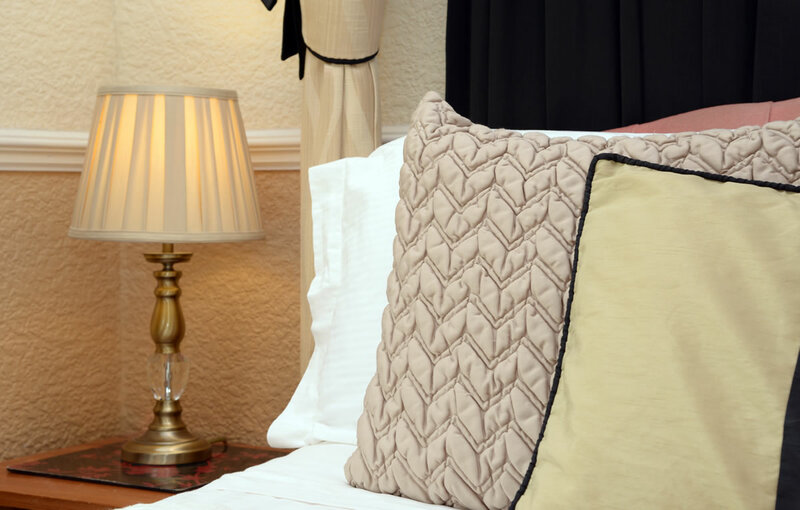 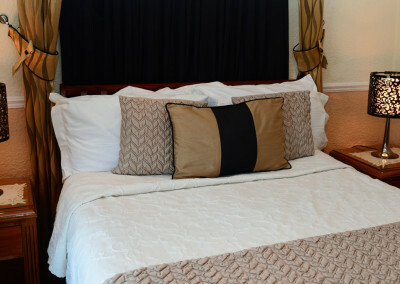 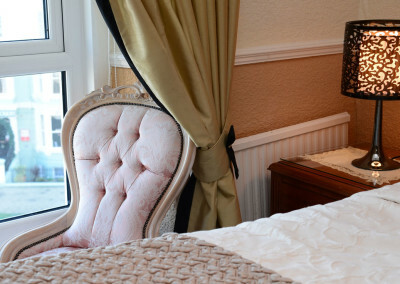 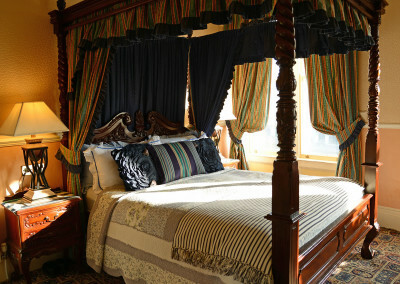 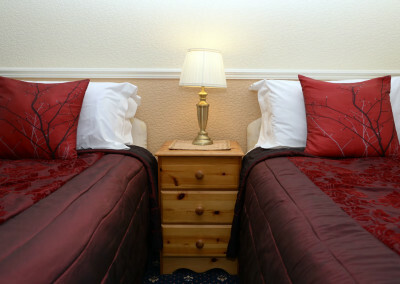 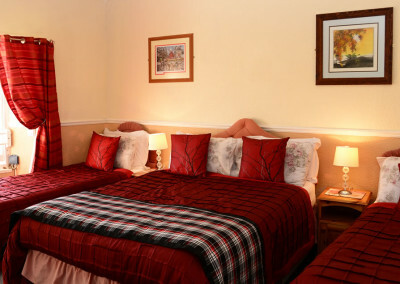 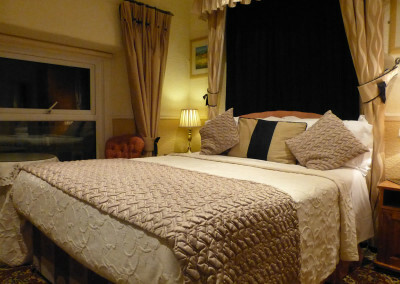 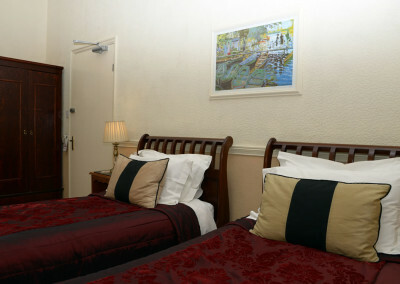 Our Bedrooms are tastefully decorated and furnished. 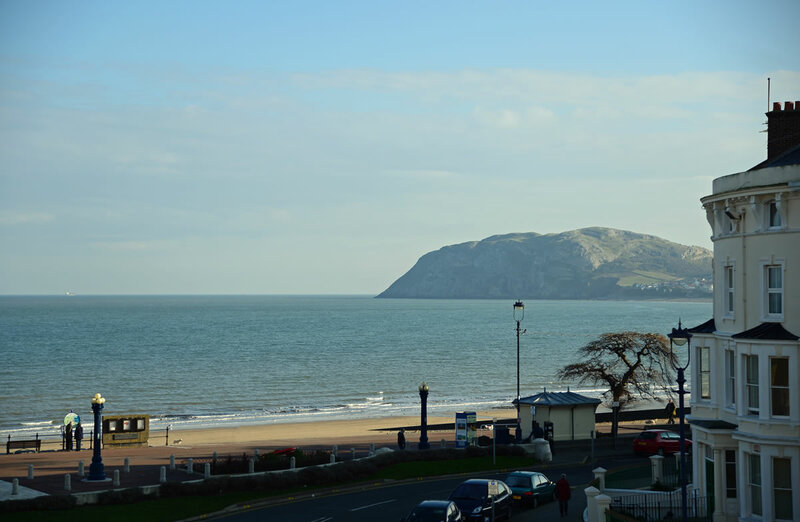 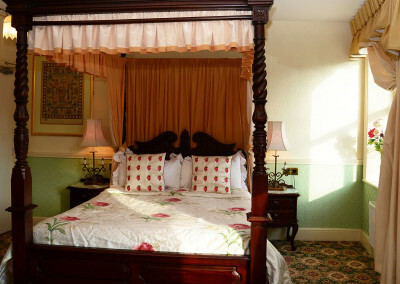 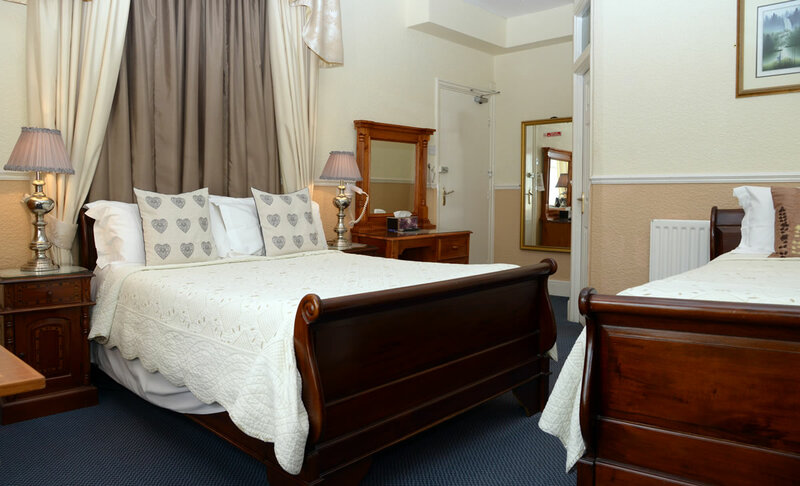 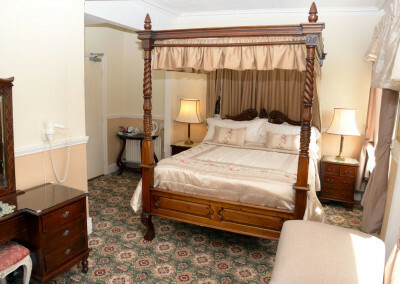 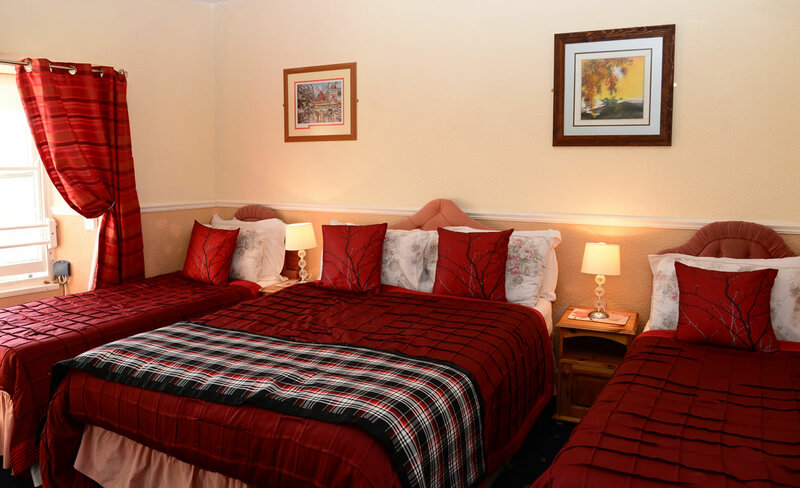 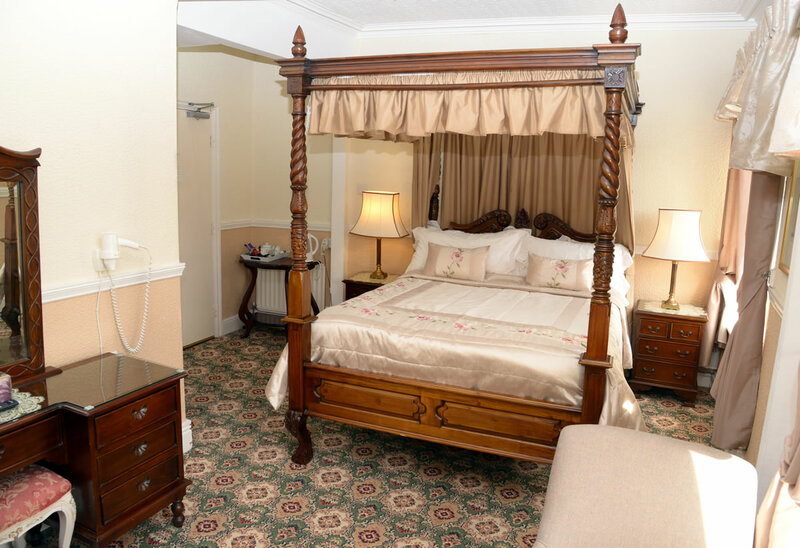 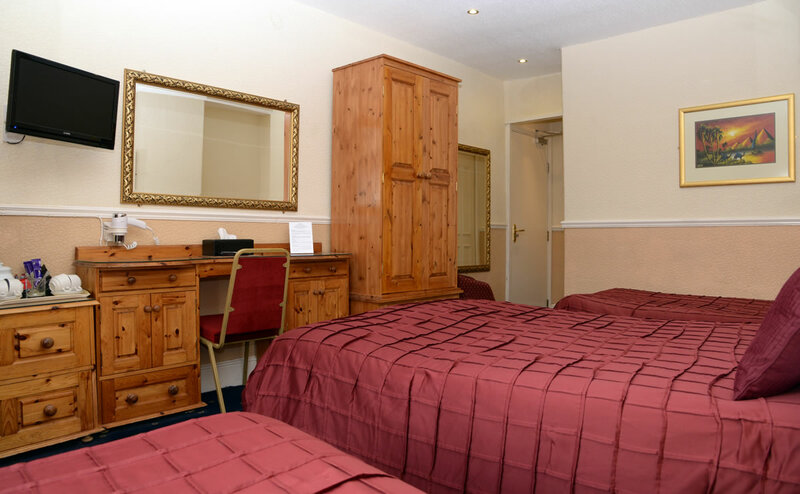 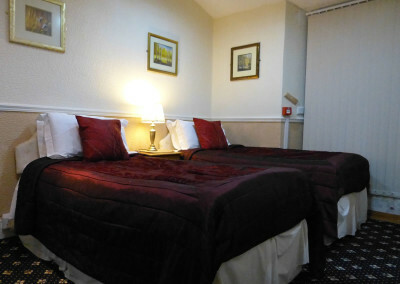 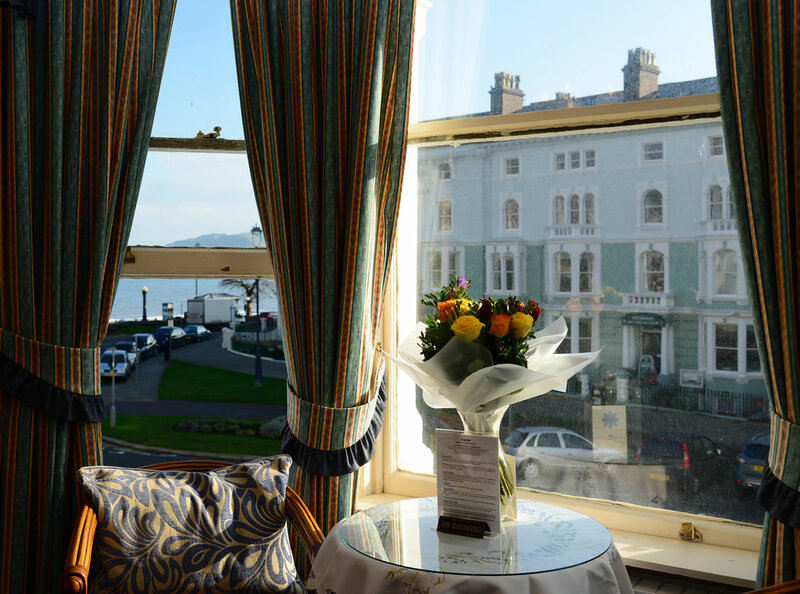 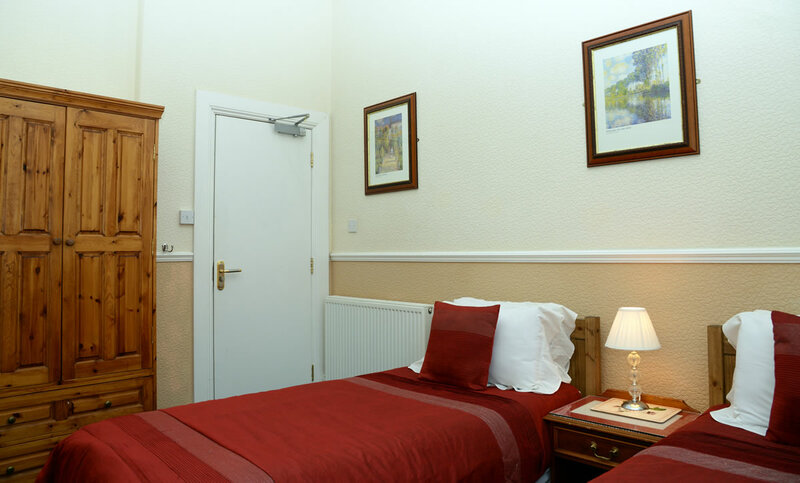 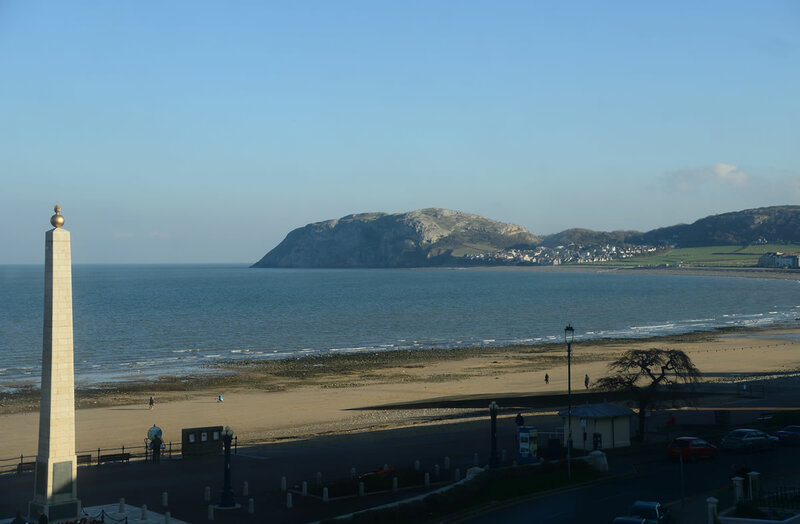 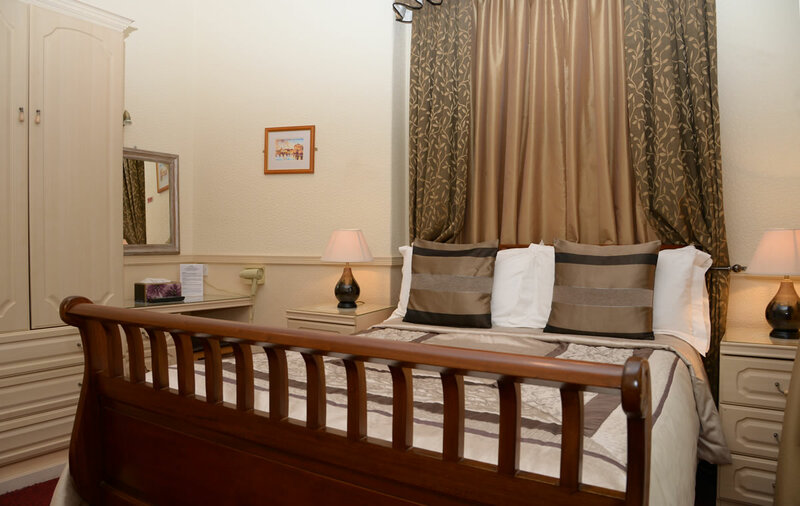 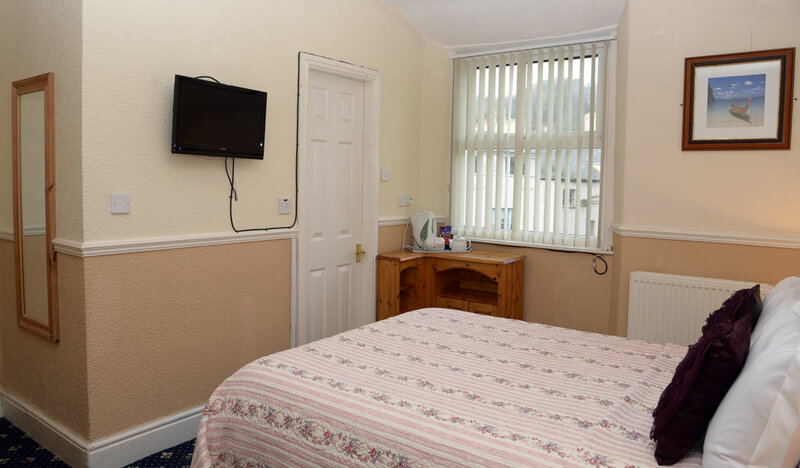 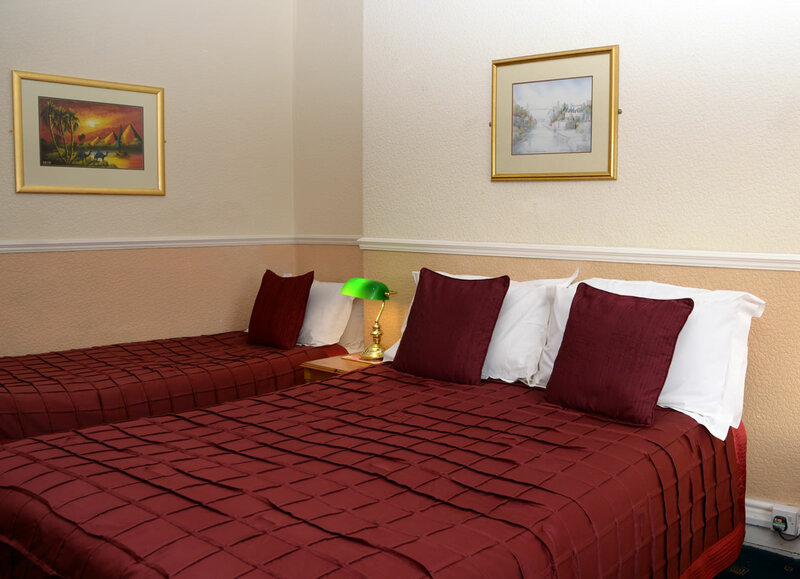 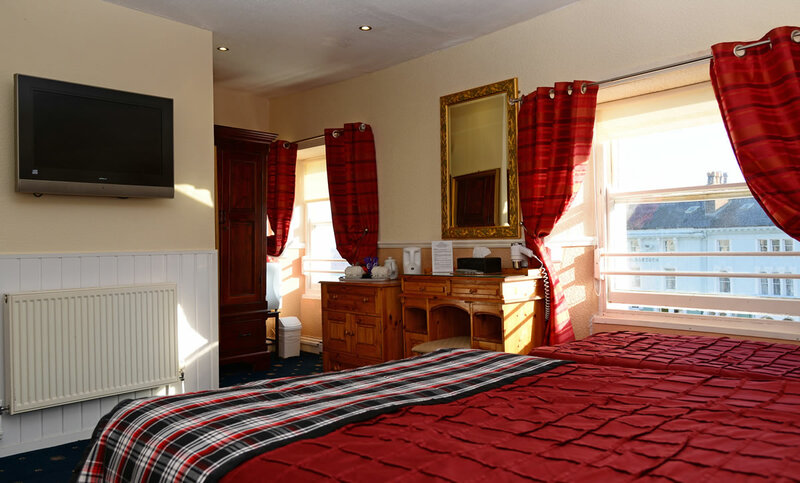 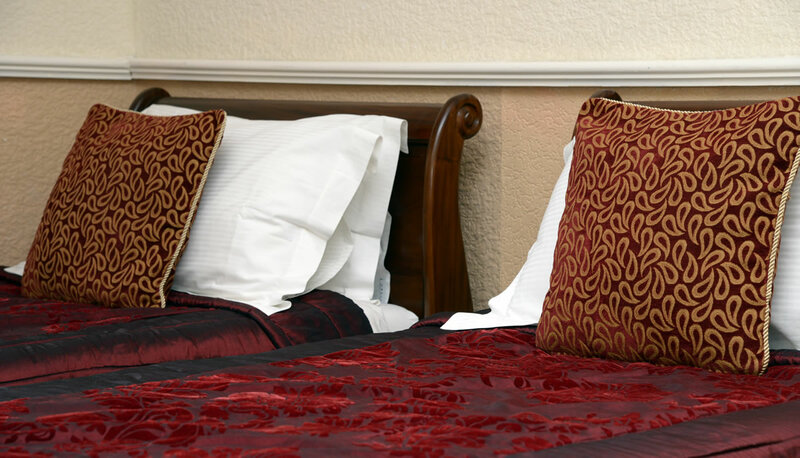 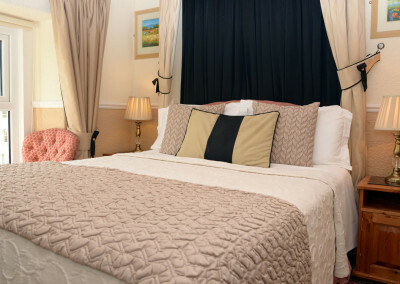 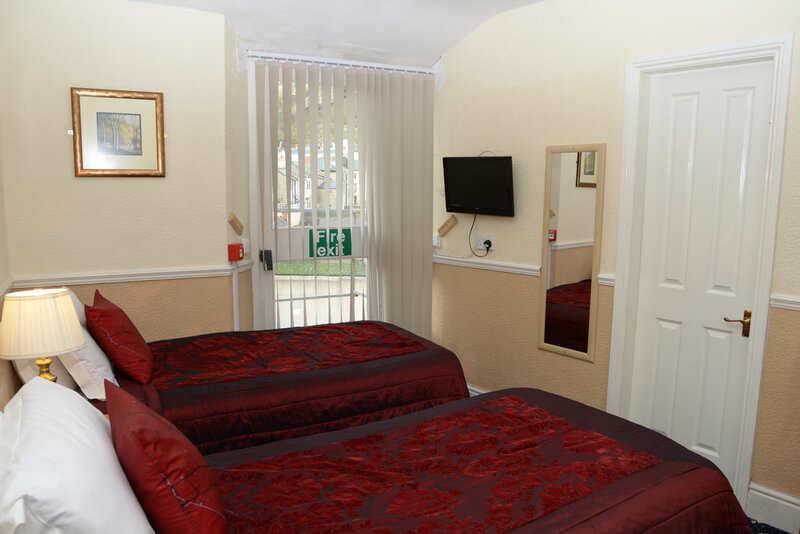 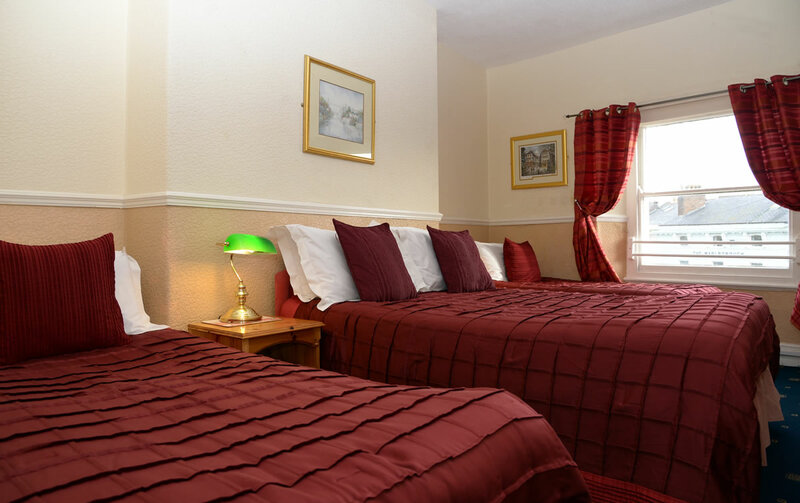 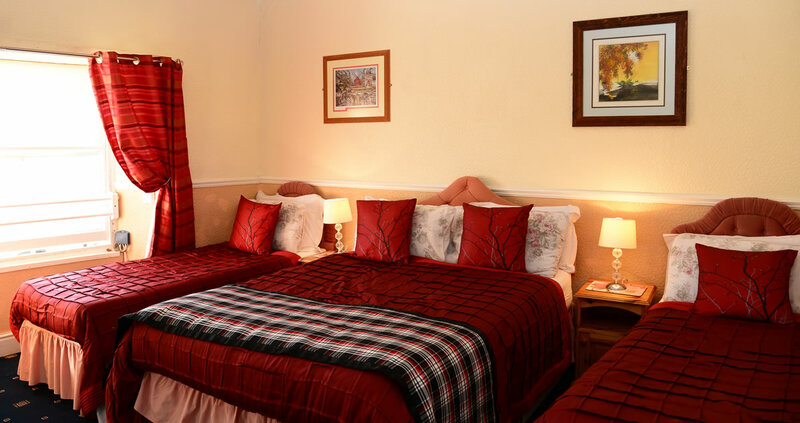 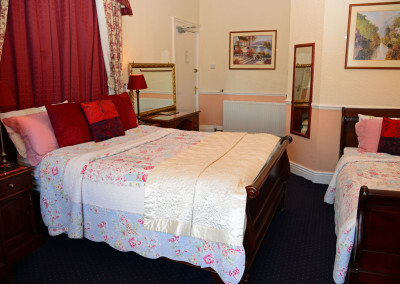 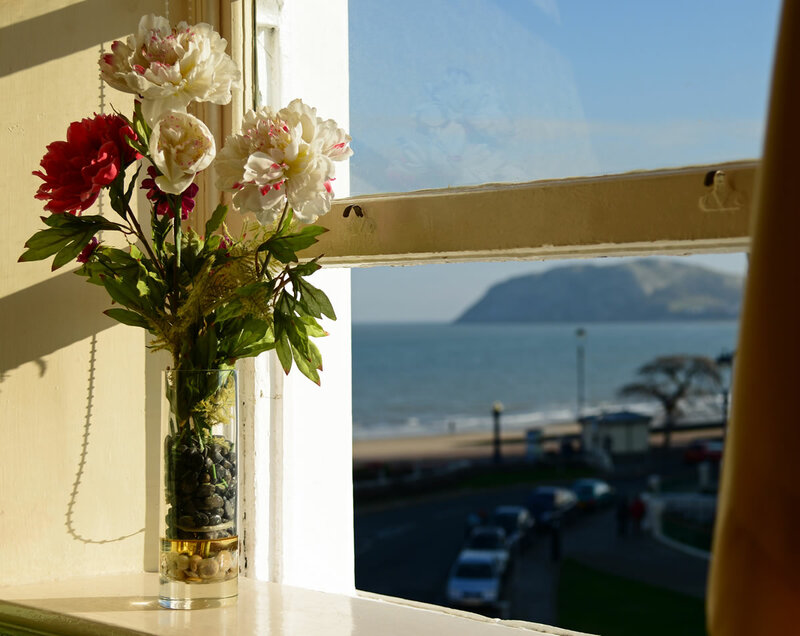 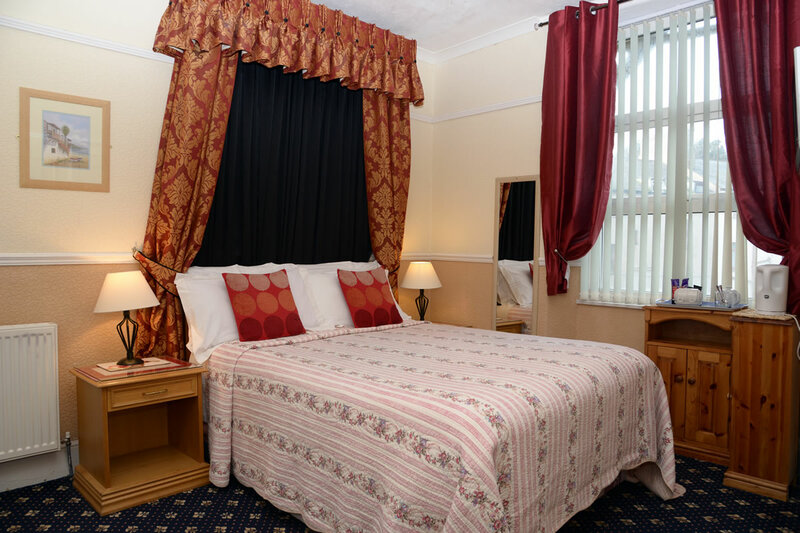 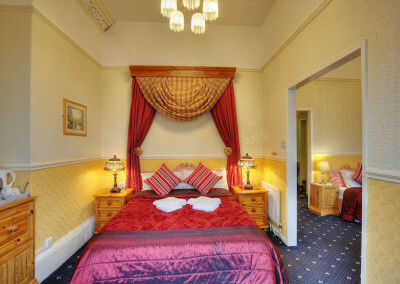 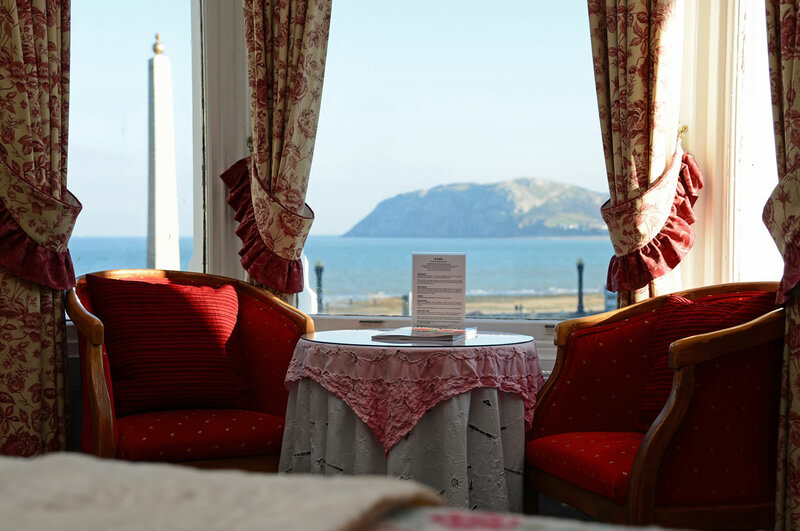 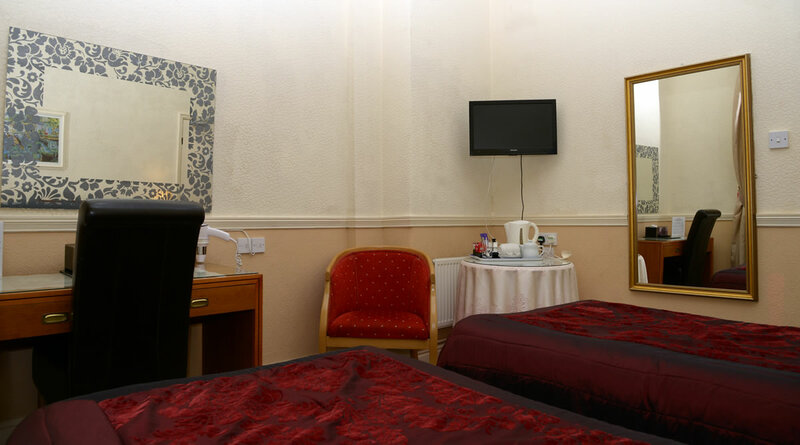 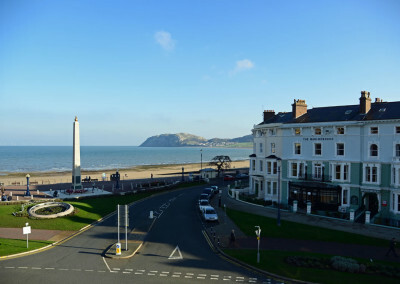 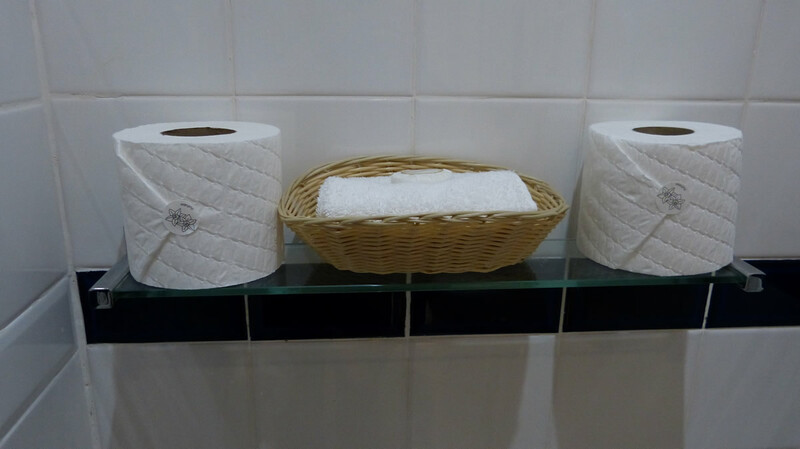 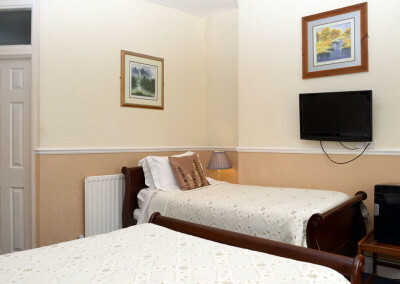 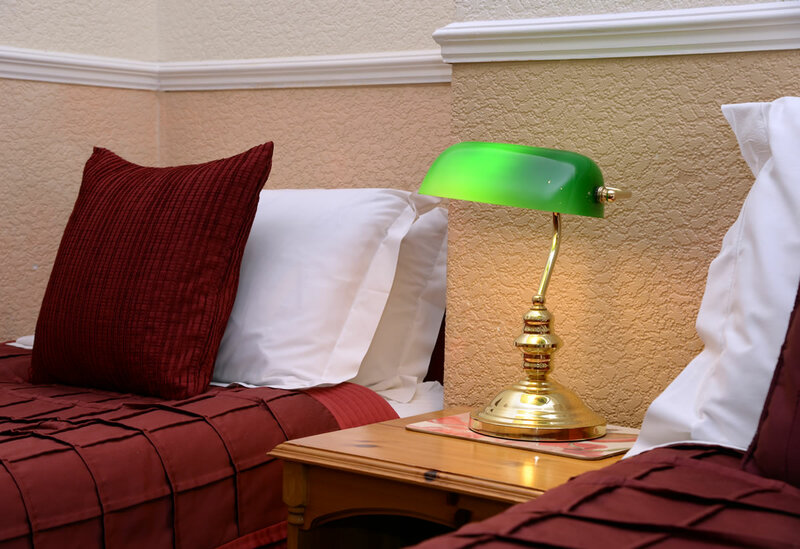 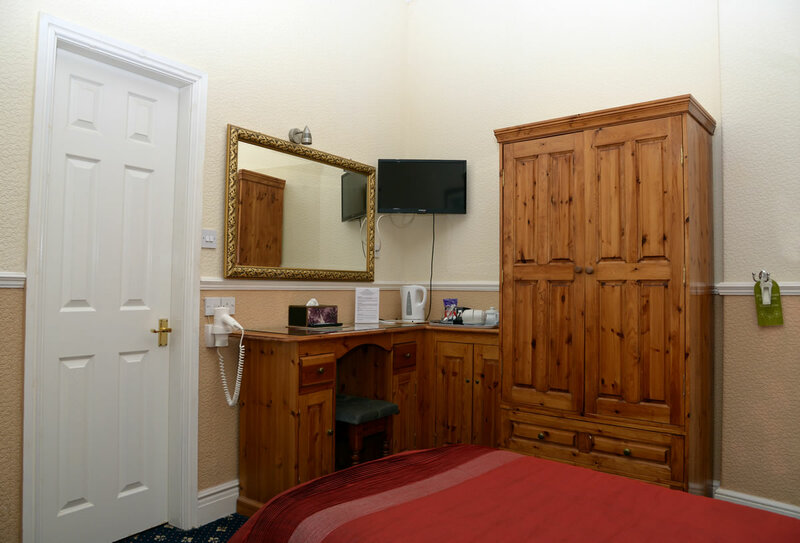 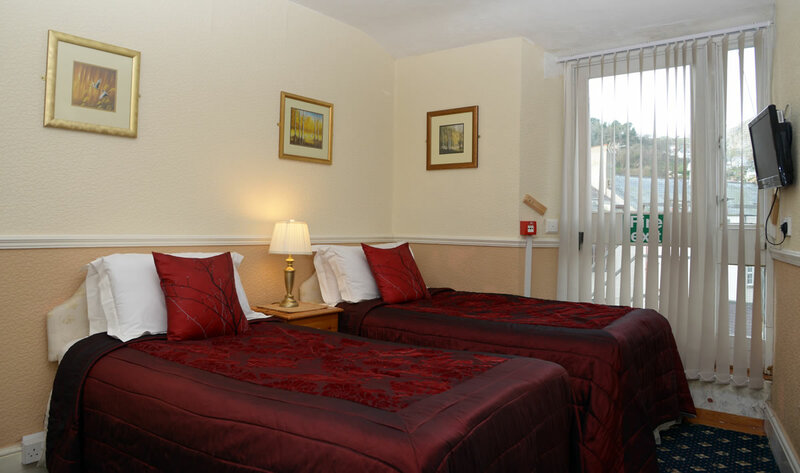 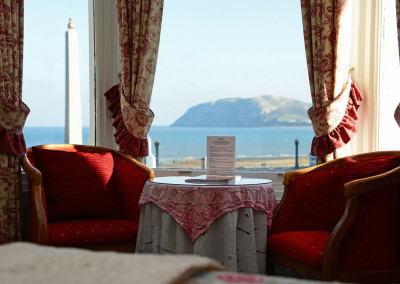 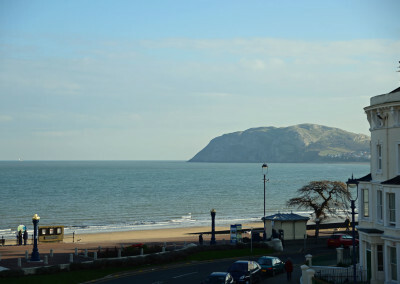 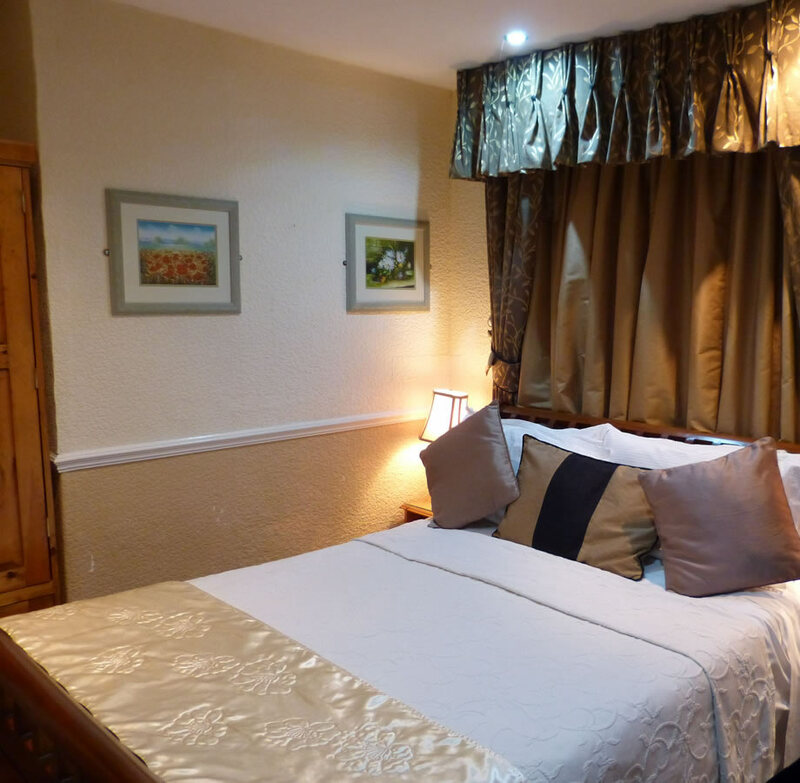 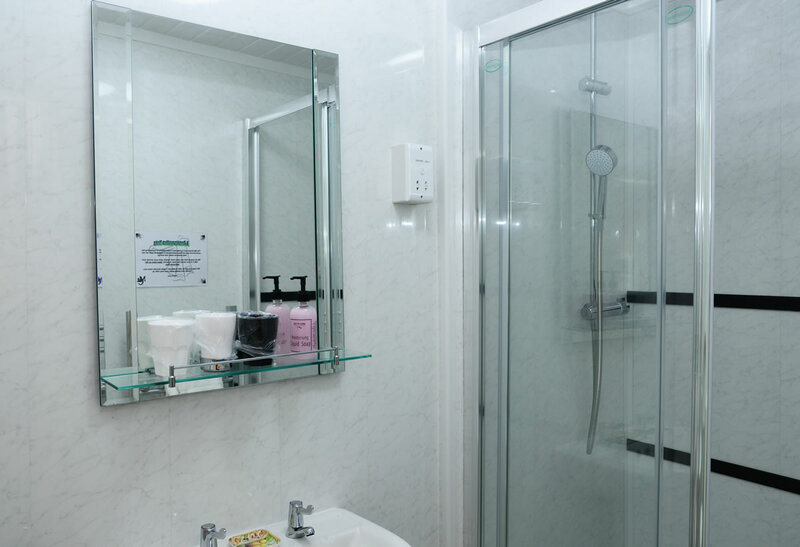 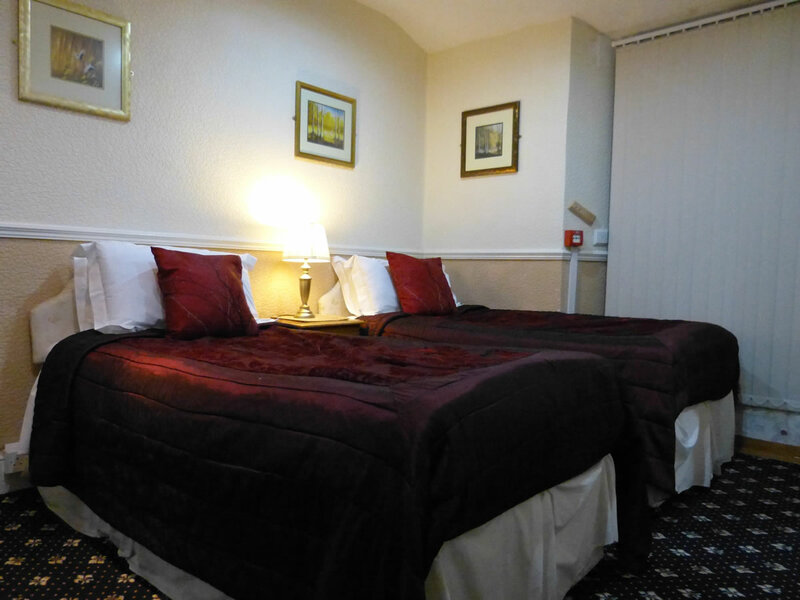 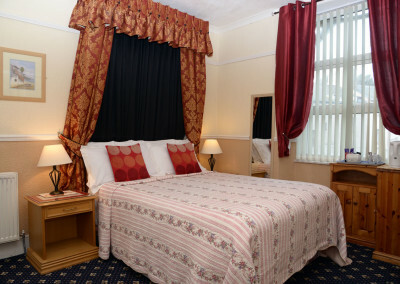 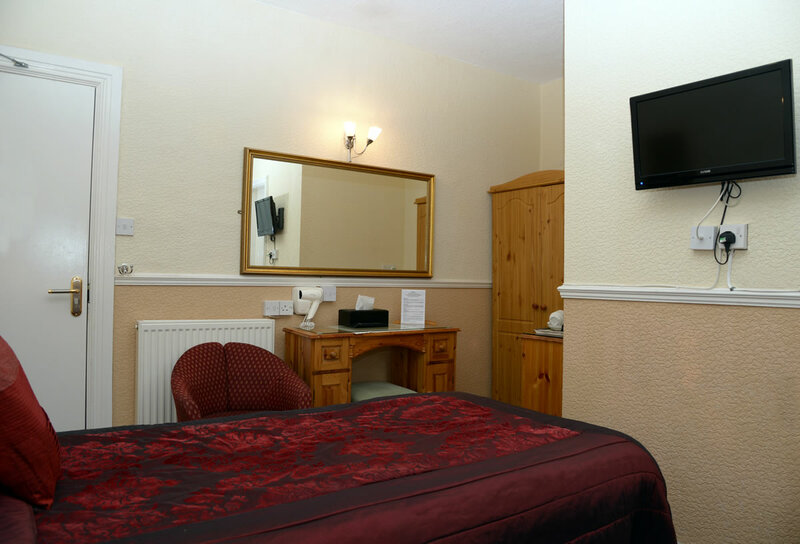 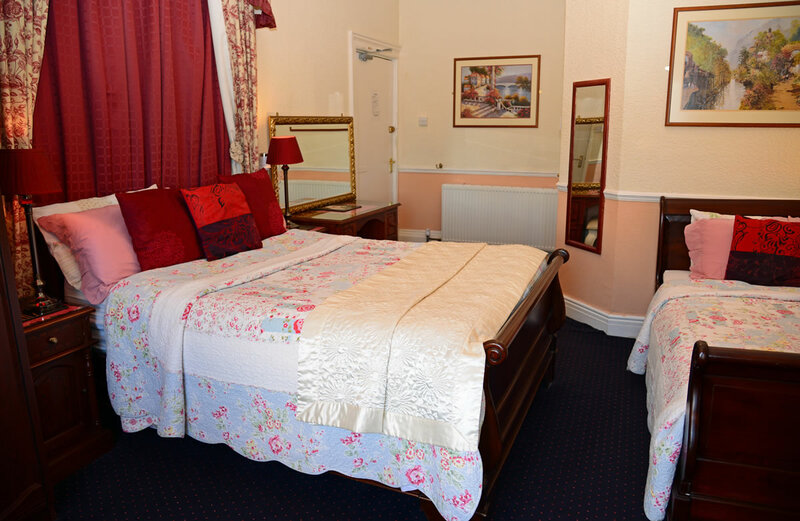 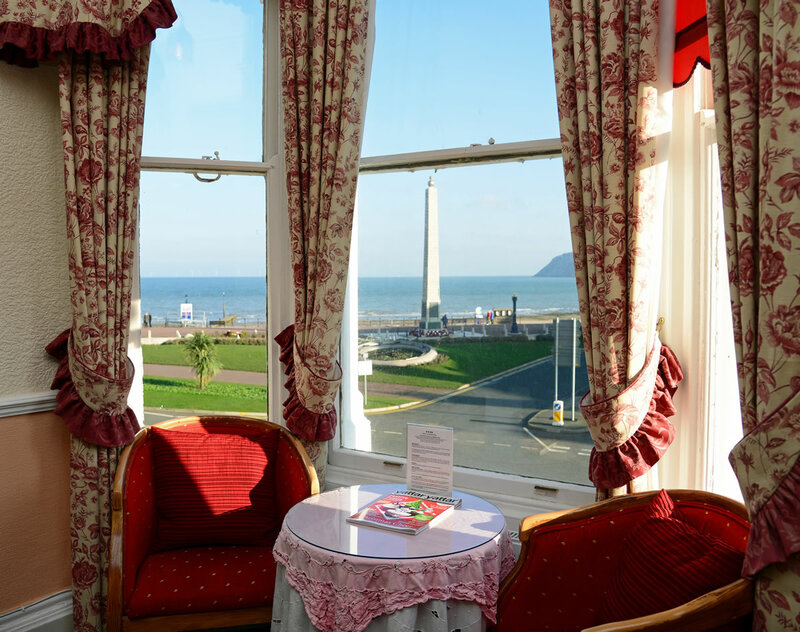 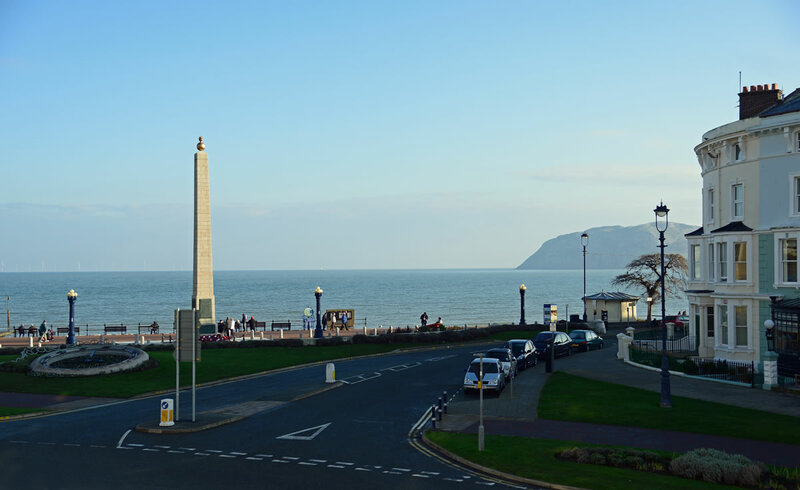 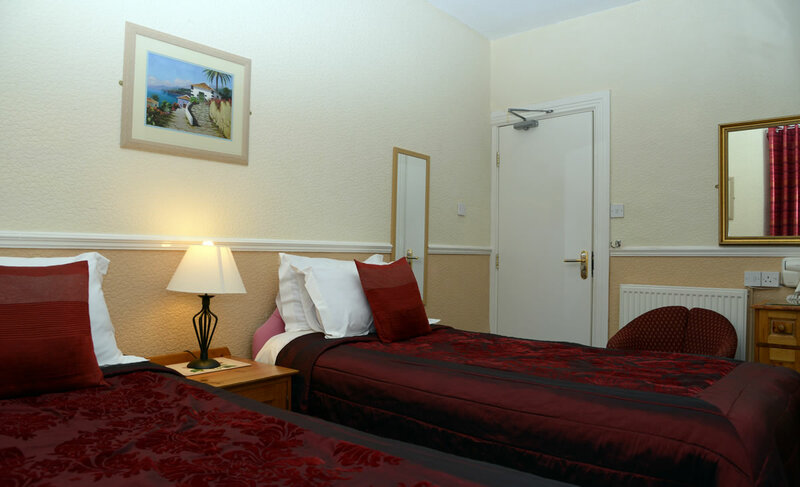 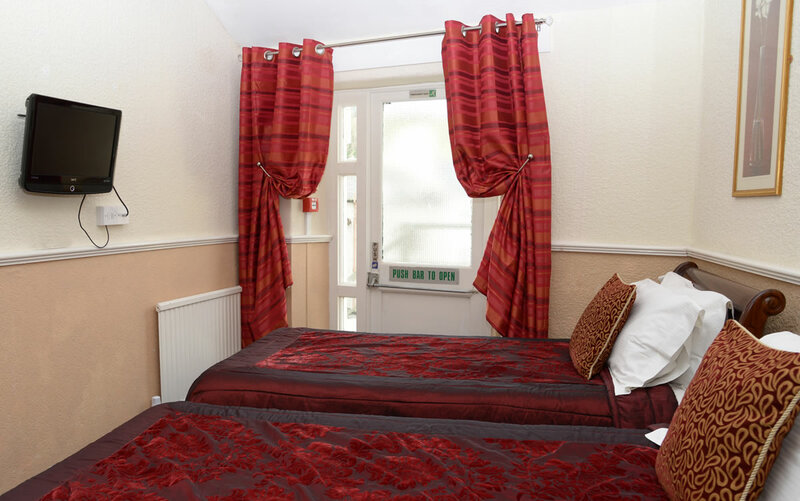 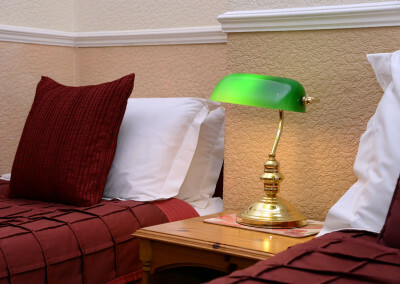 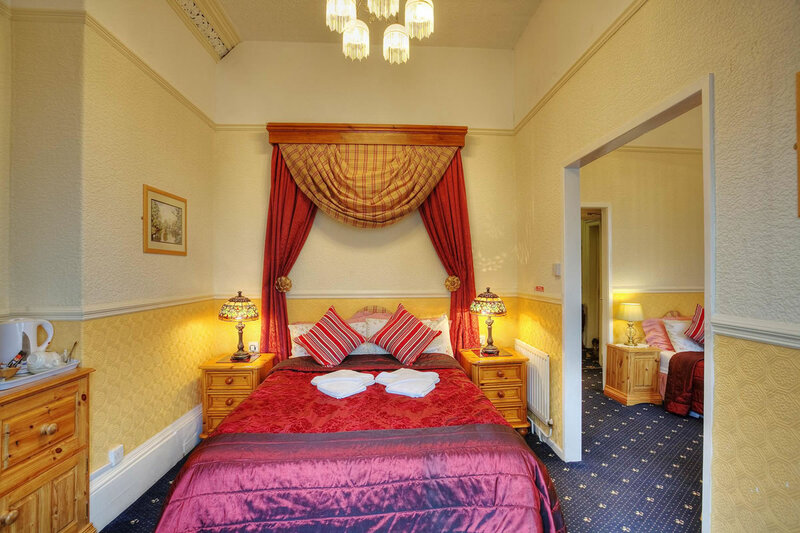 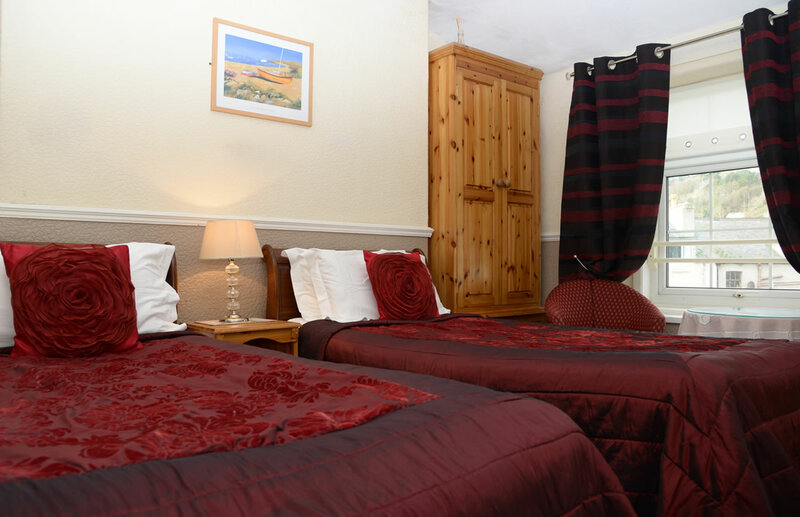 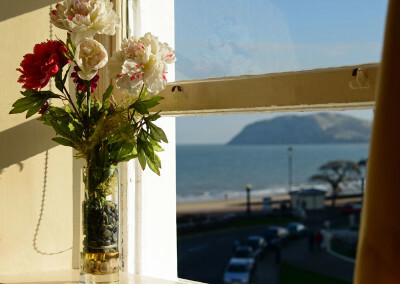 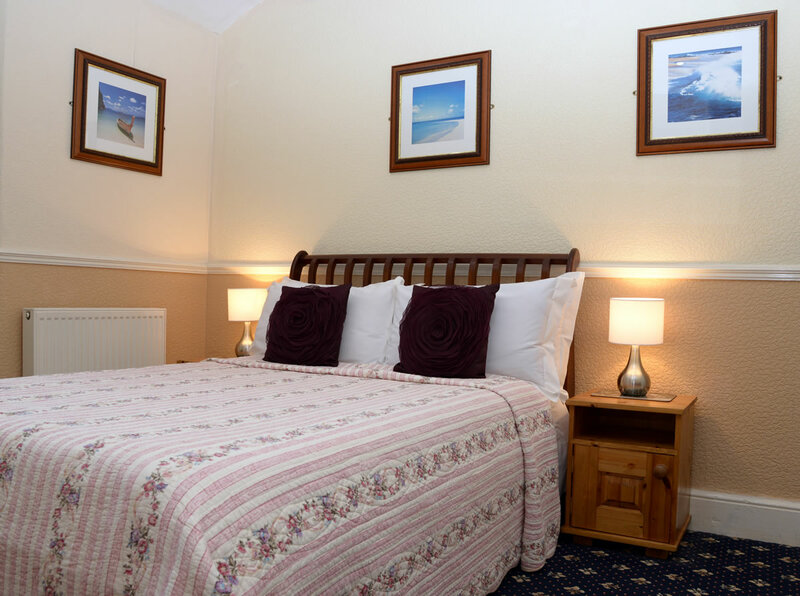 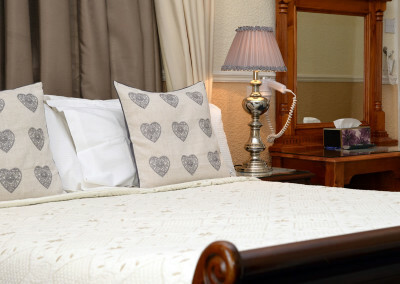 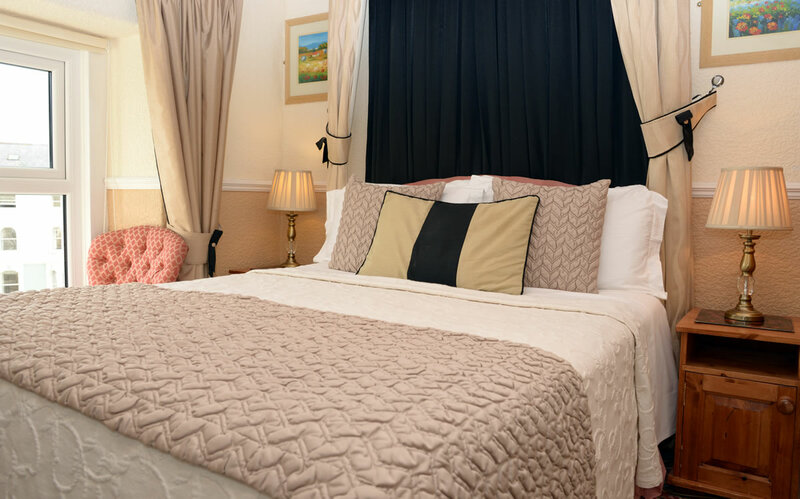 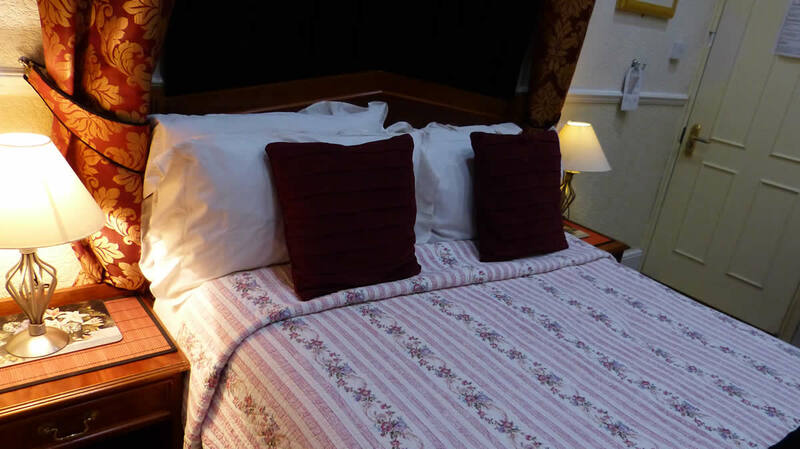 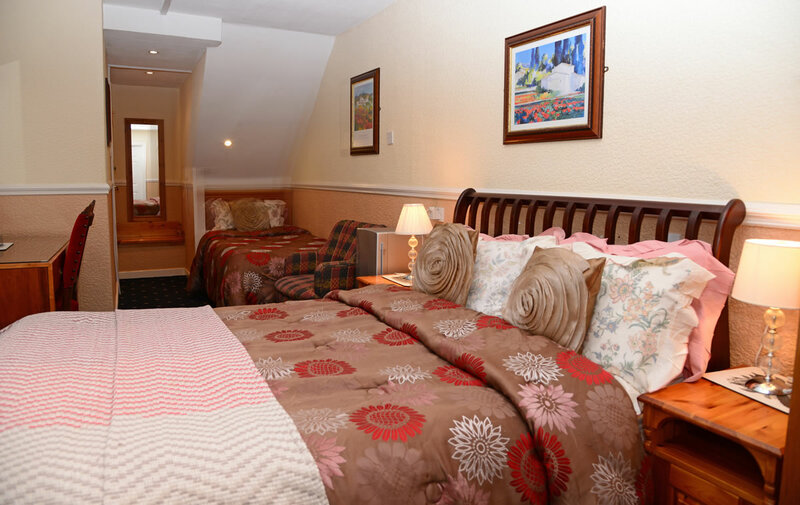 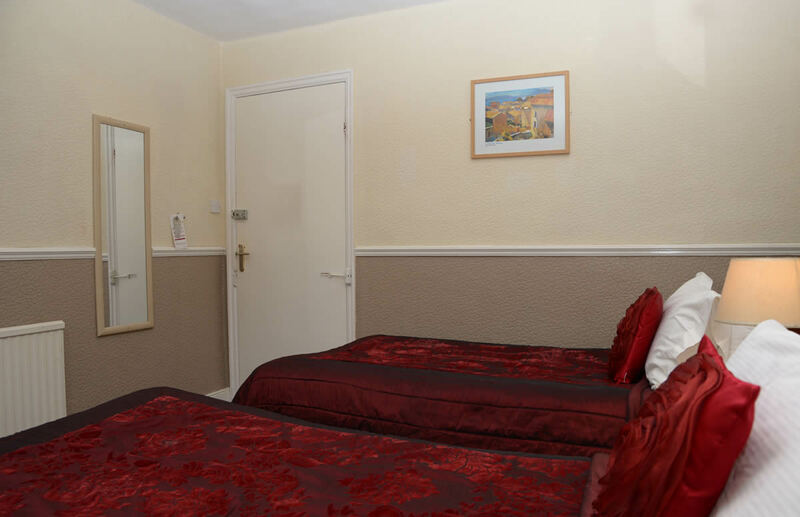 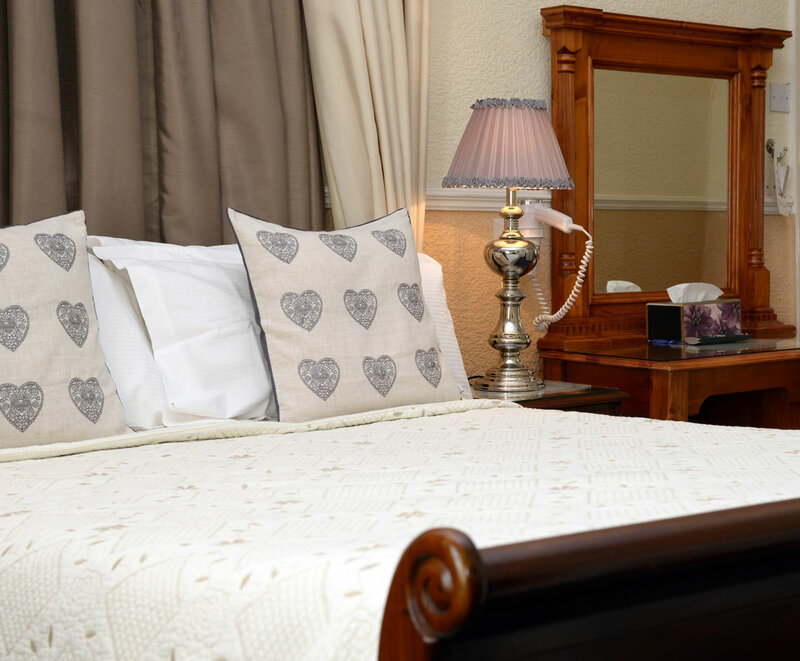 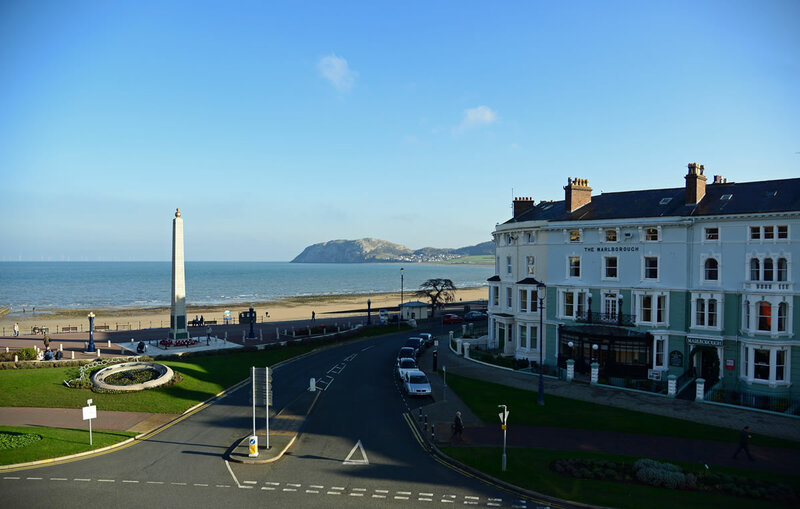 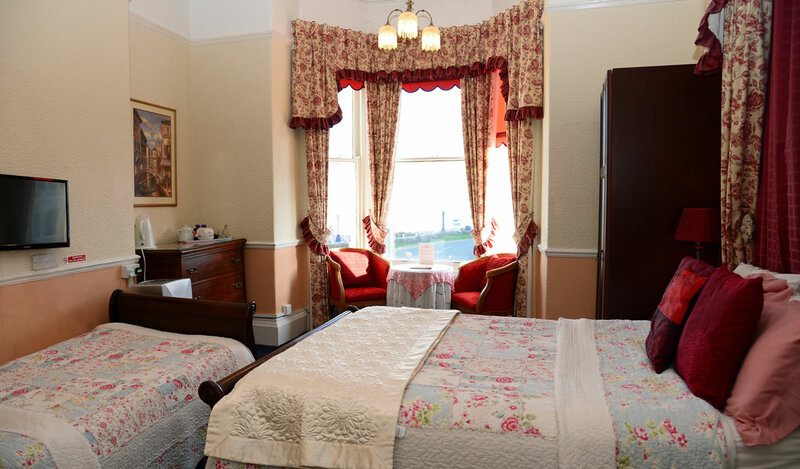 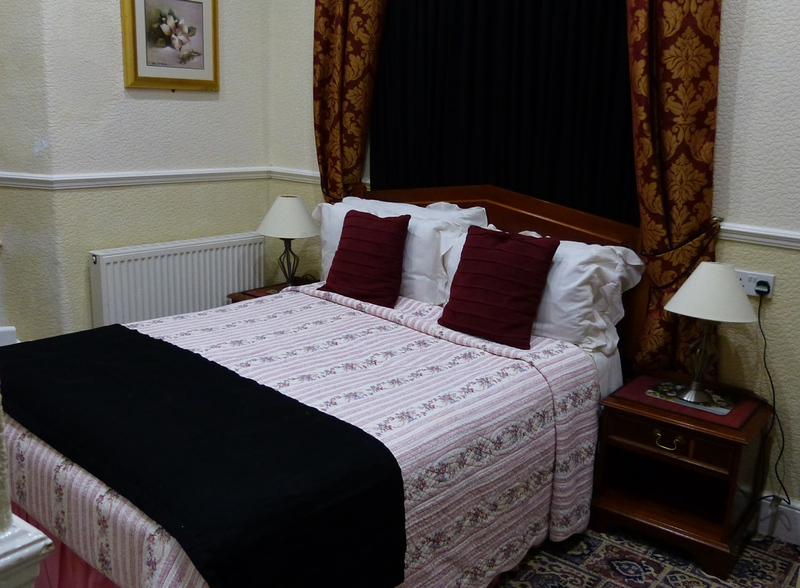 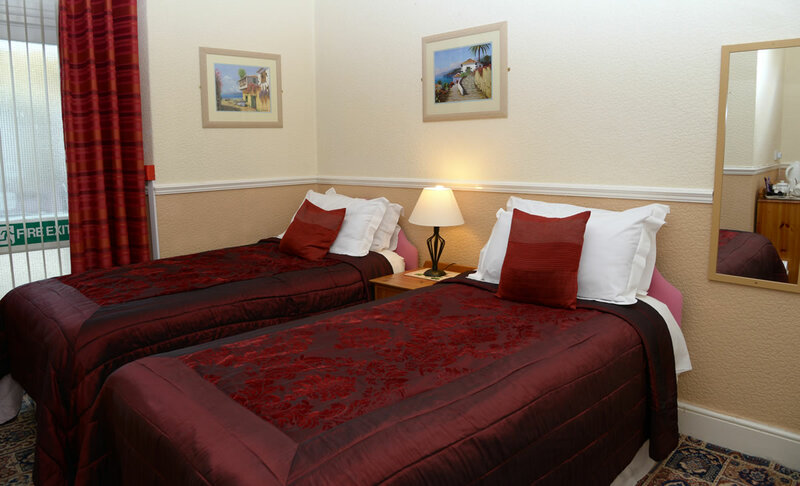 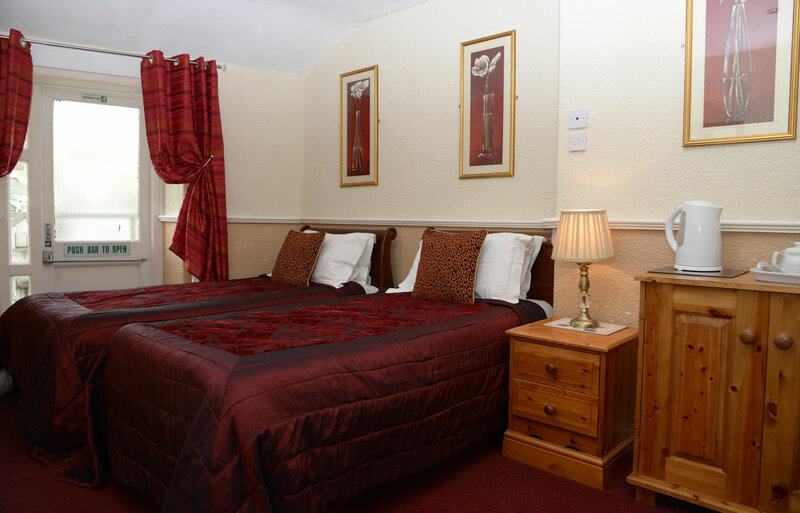 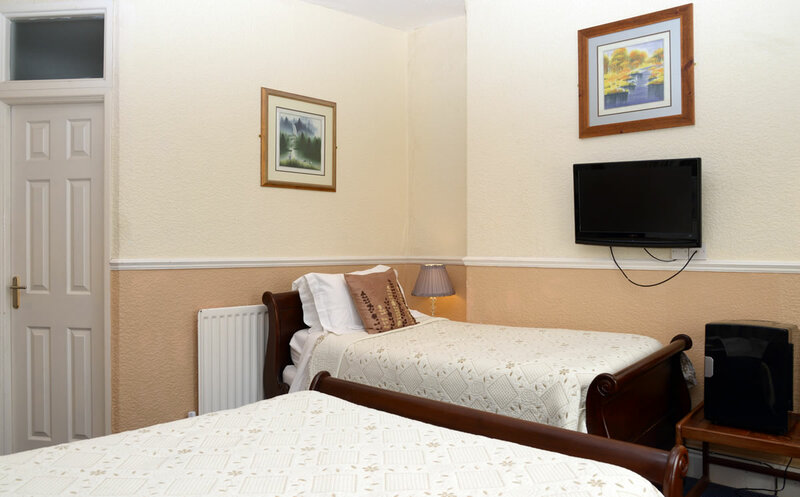 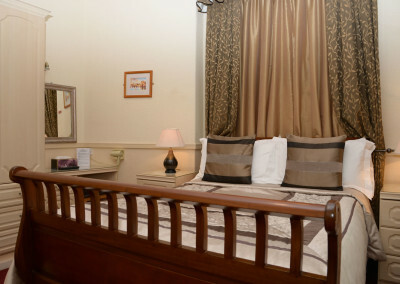 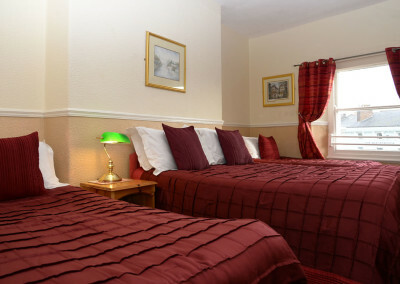 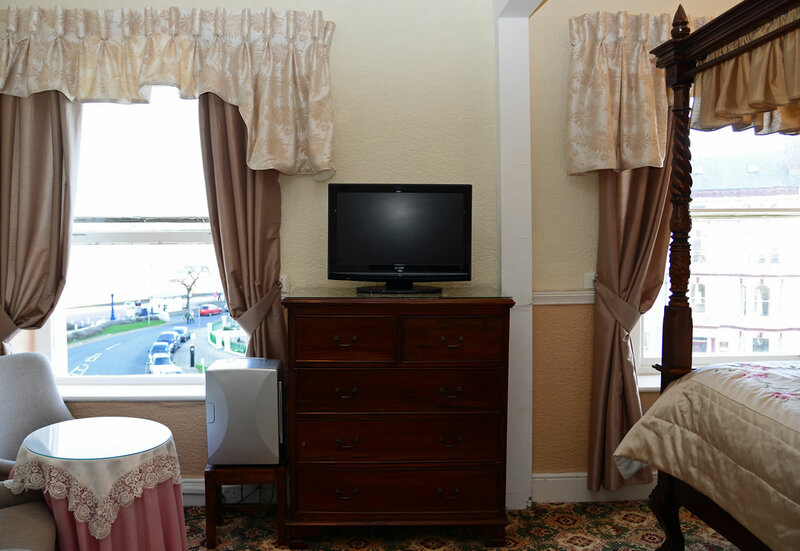 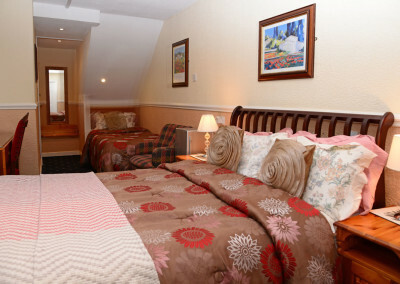 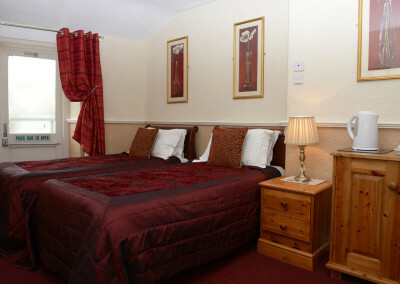 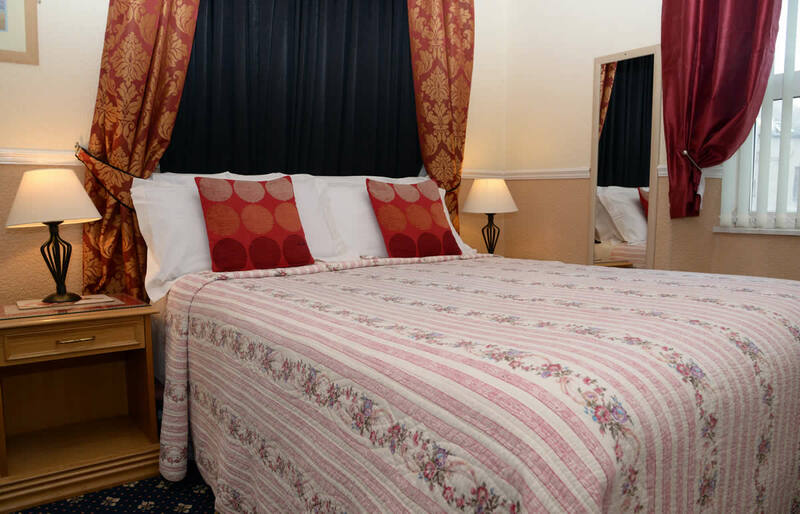 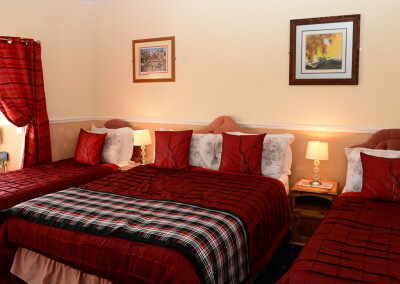 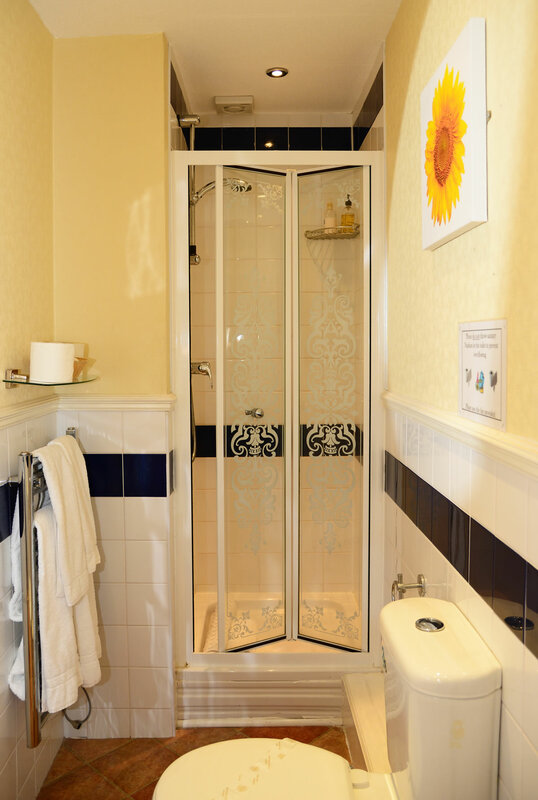 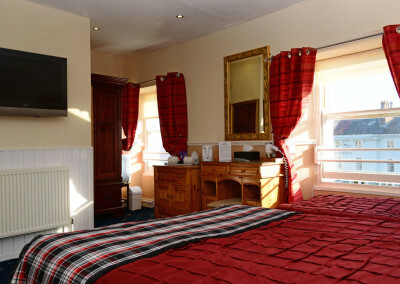 We have a range of bedroom types available; Single, Twin, Double, Kingsize, Four Poster, Family and all include en-suite facilities with flat screen tv, tea and coffee making facilities, hair dryer and central heating, Free Wireless internet throughout the hotel. 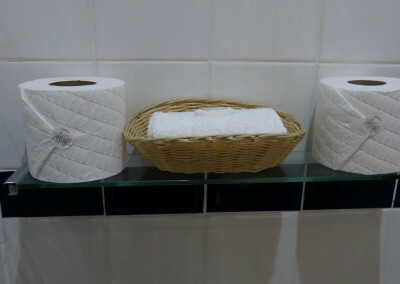 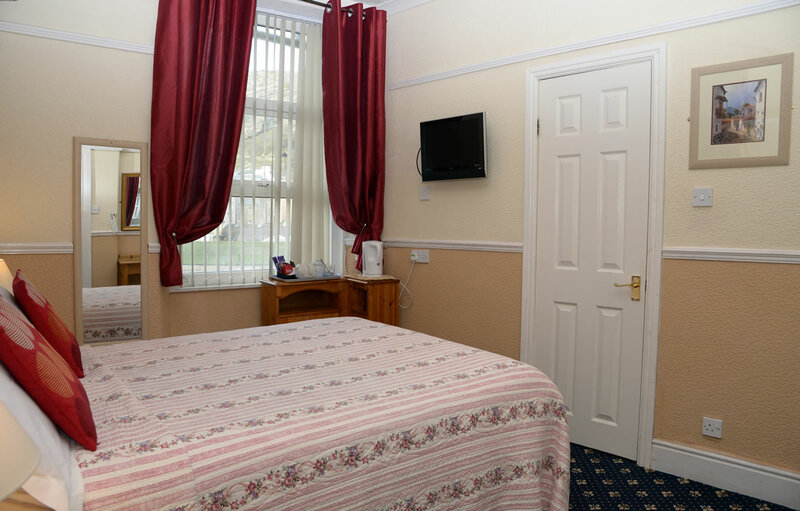 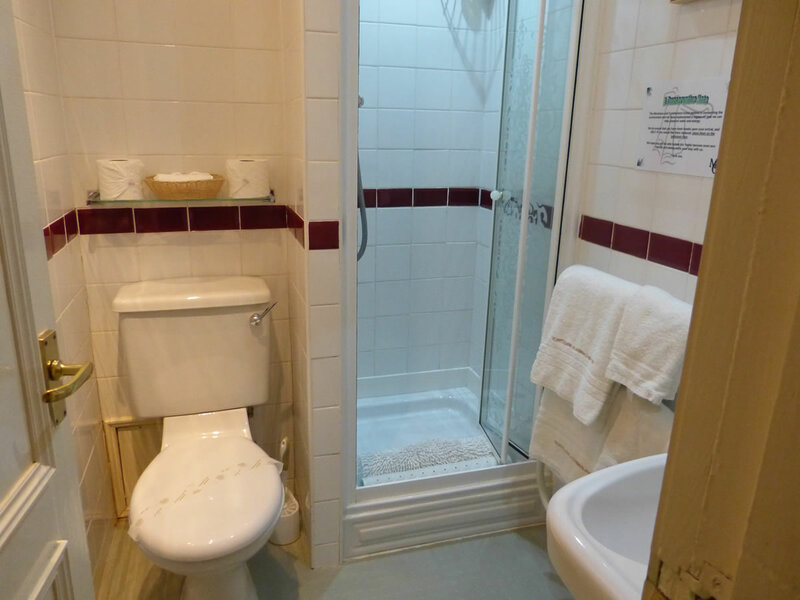 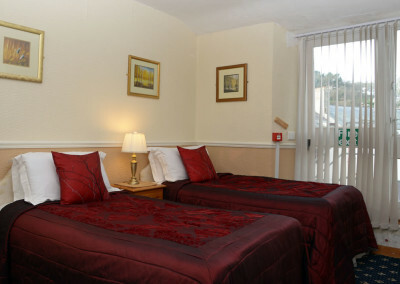 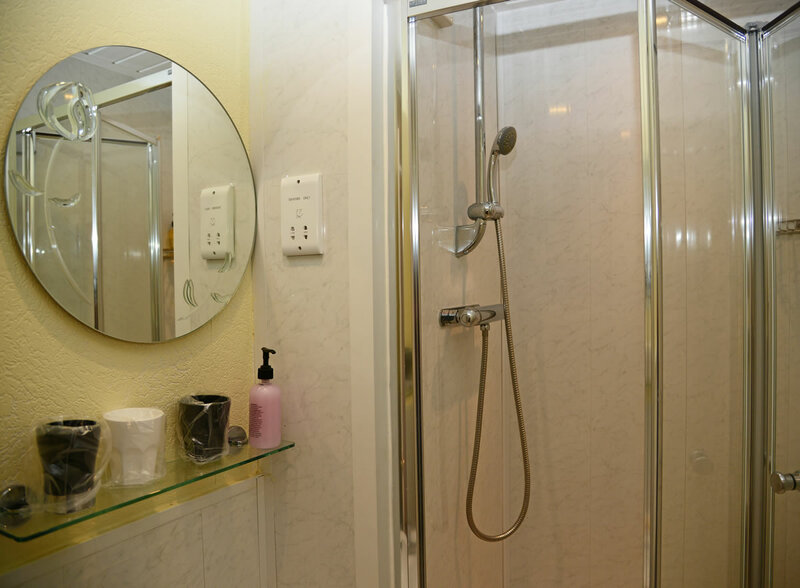 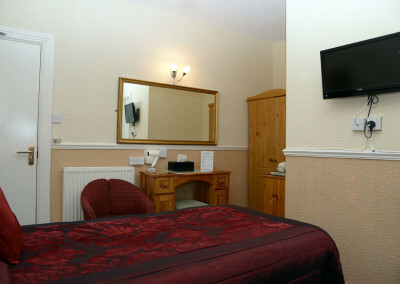 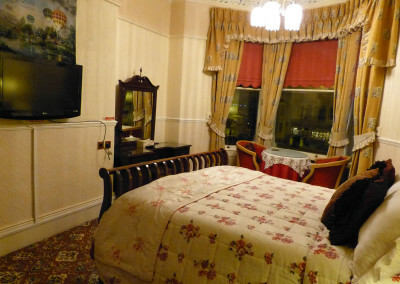 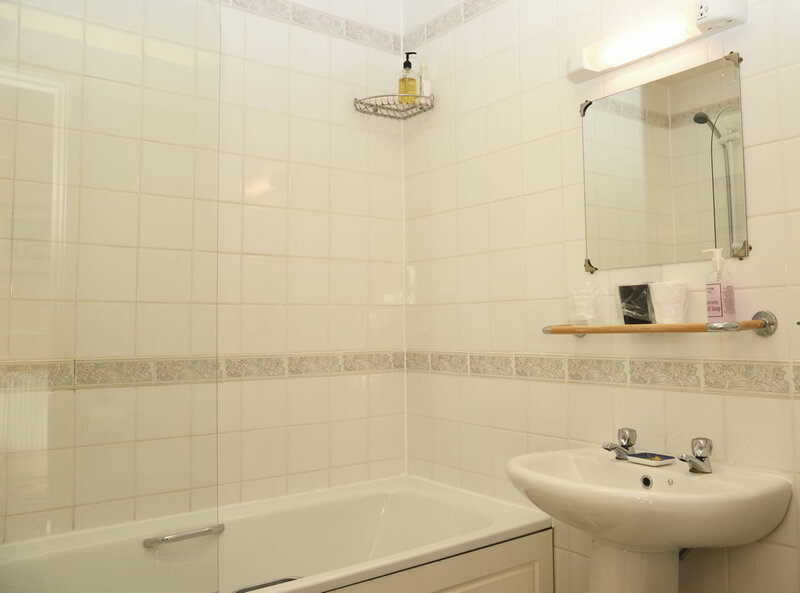 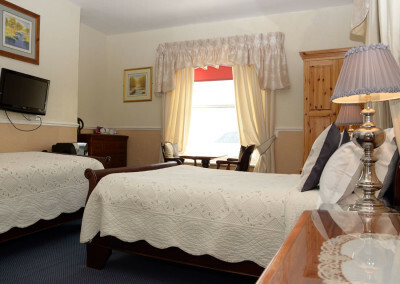 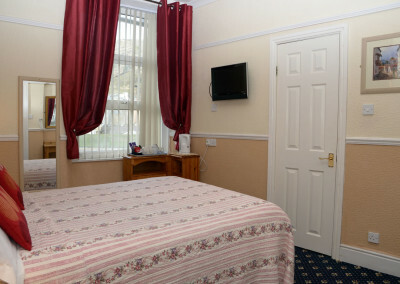 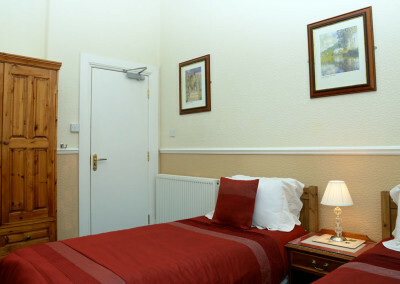 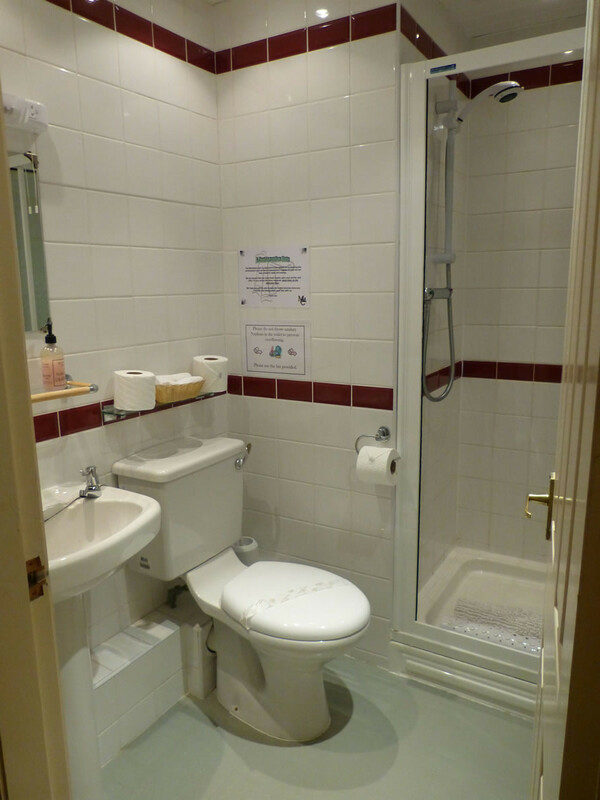 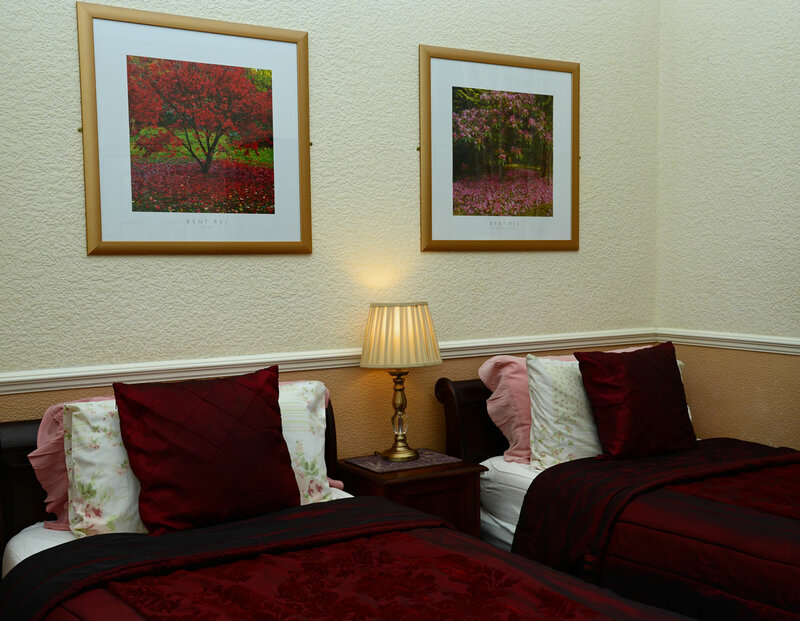 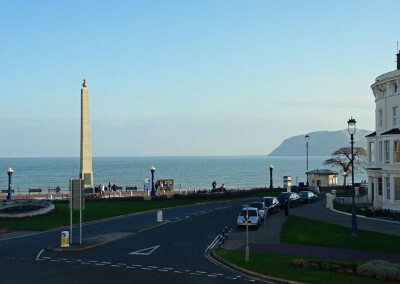 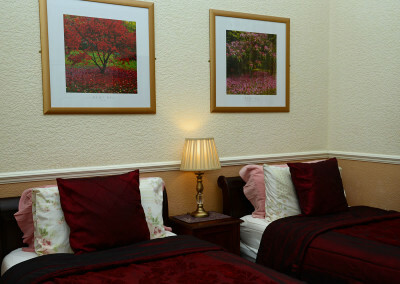 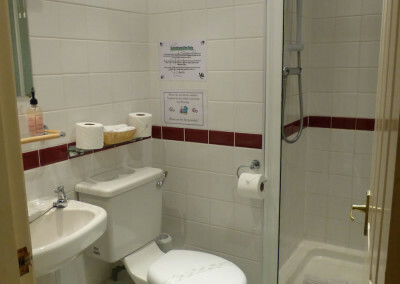 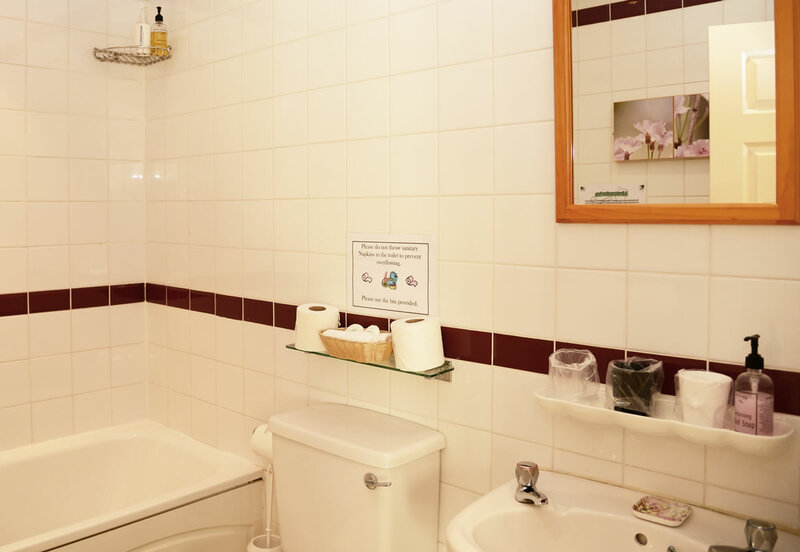 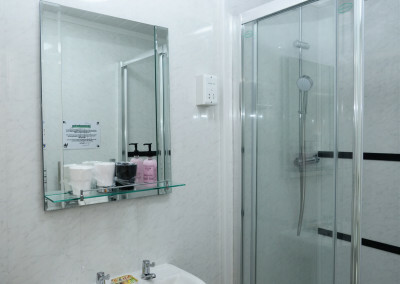 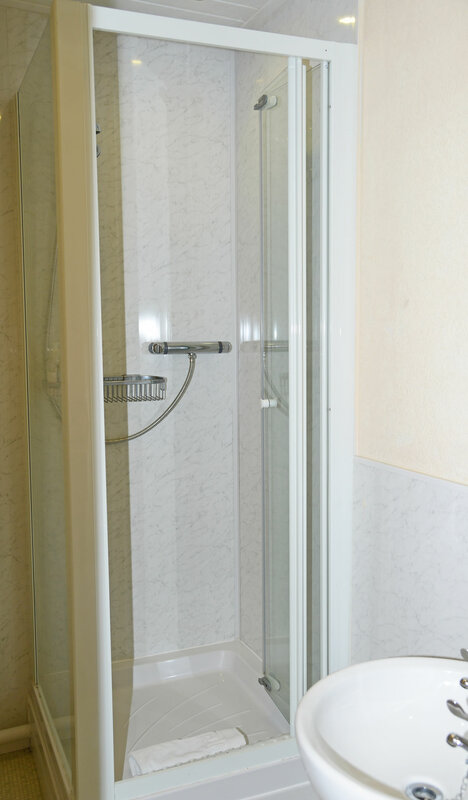 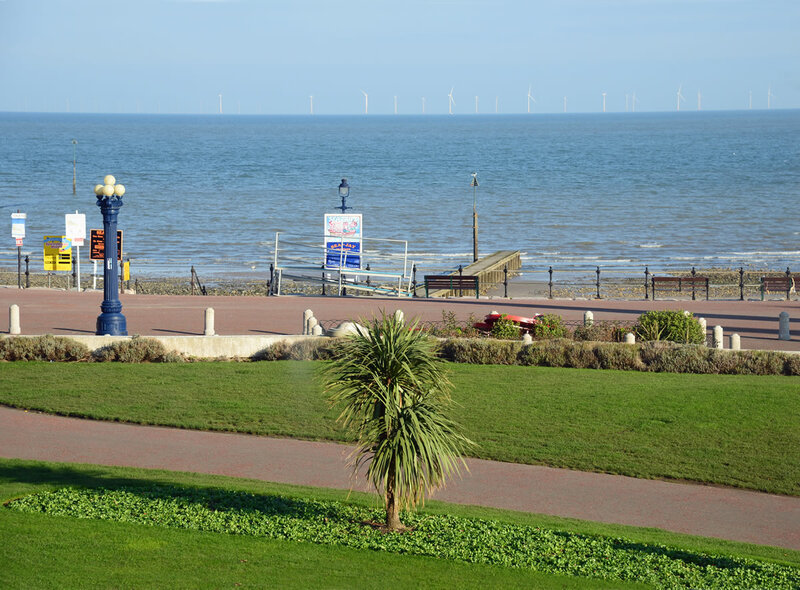 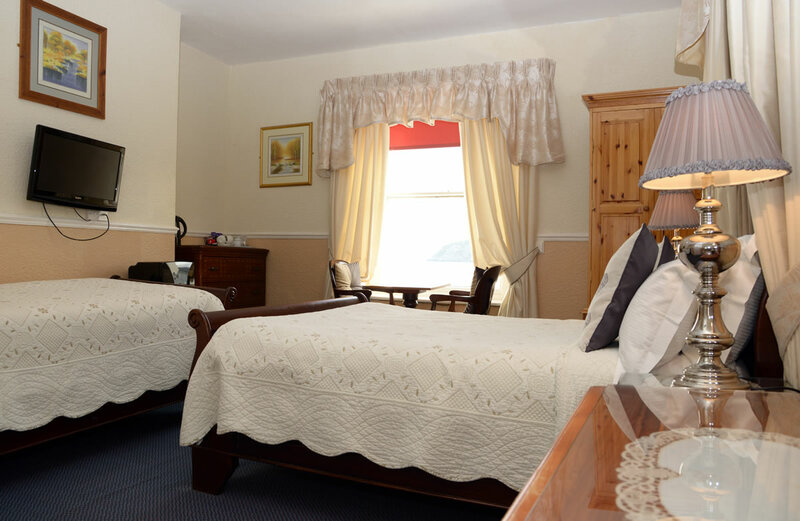 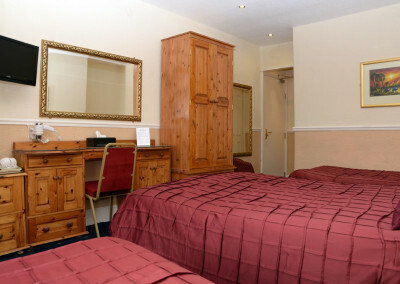 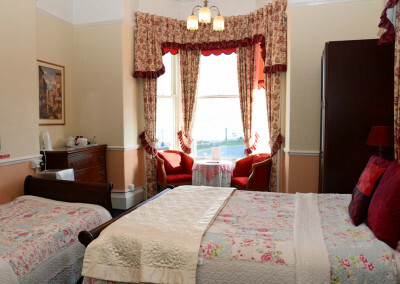 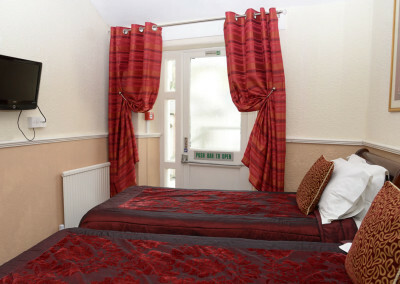 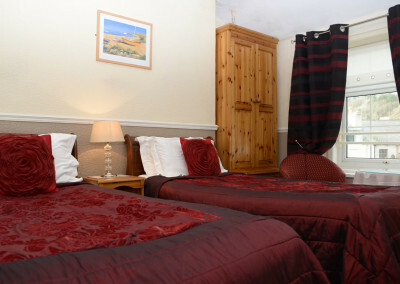 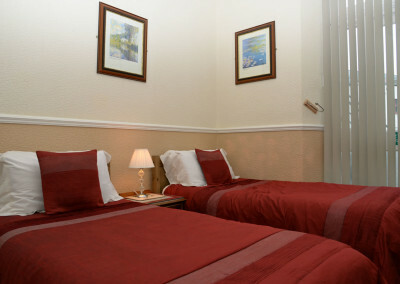 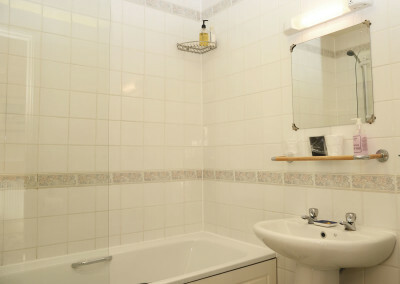 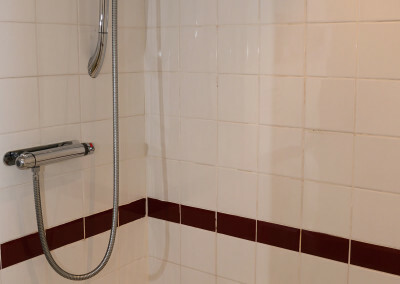 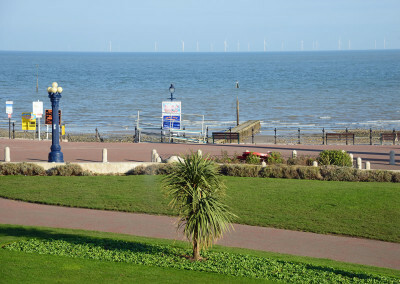 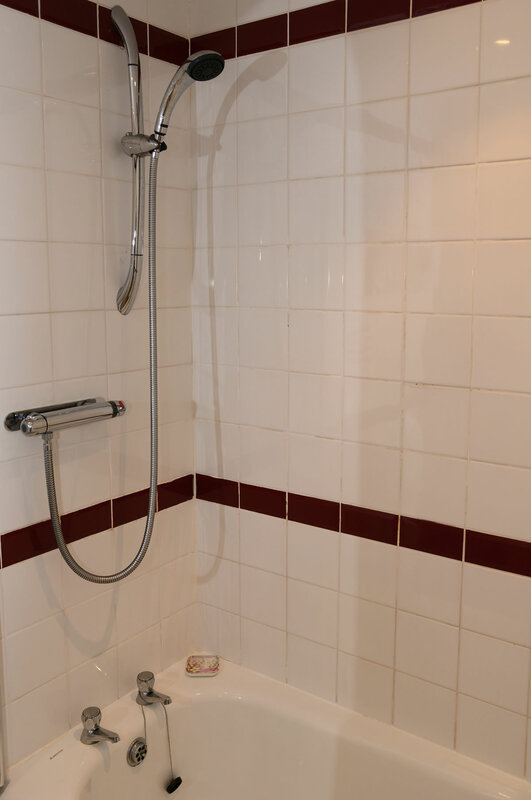 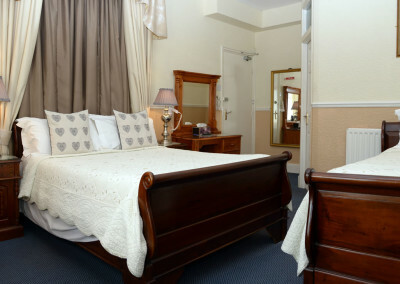 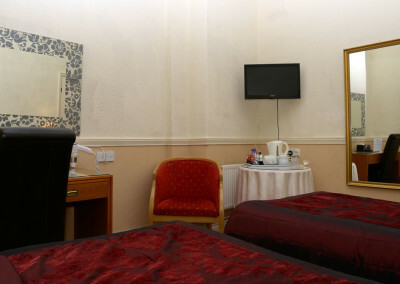 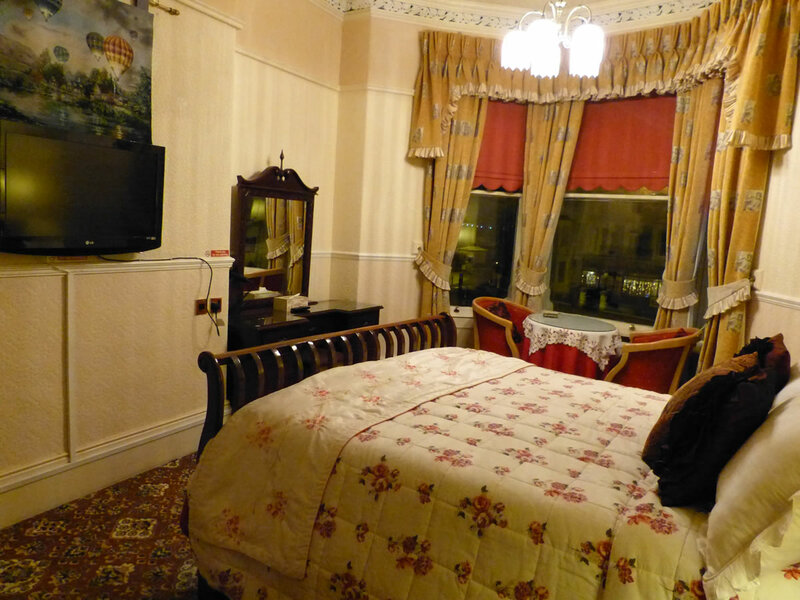 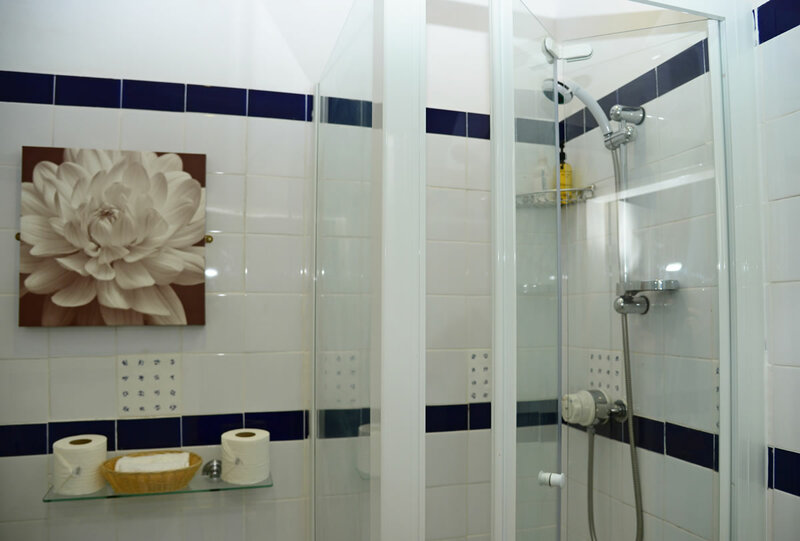 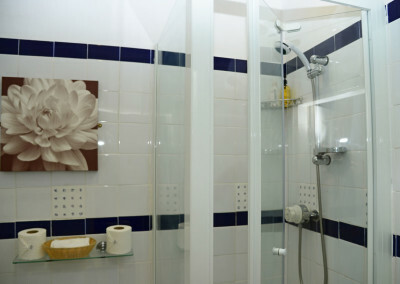 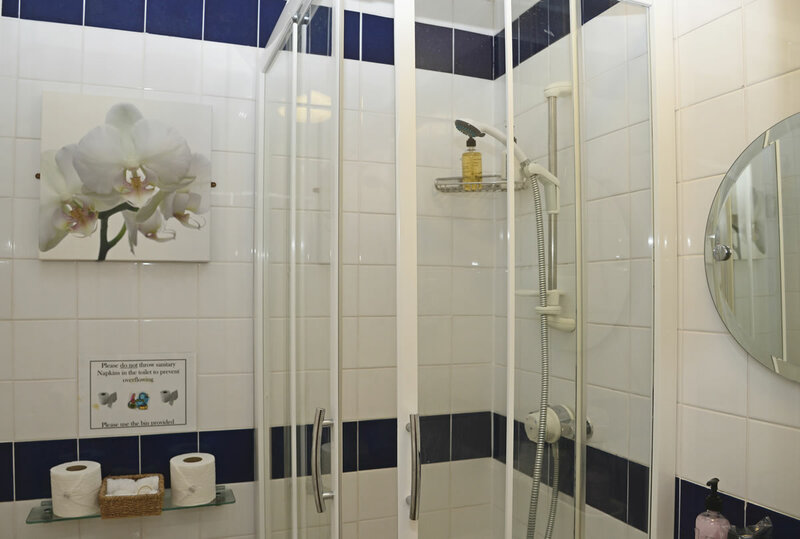 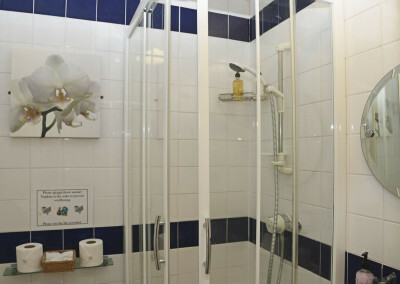 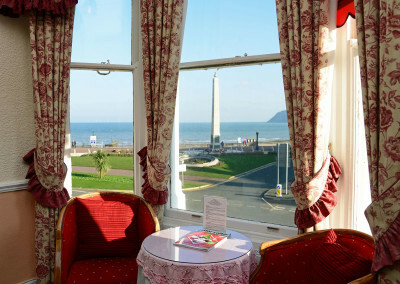 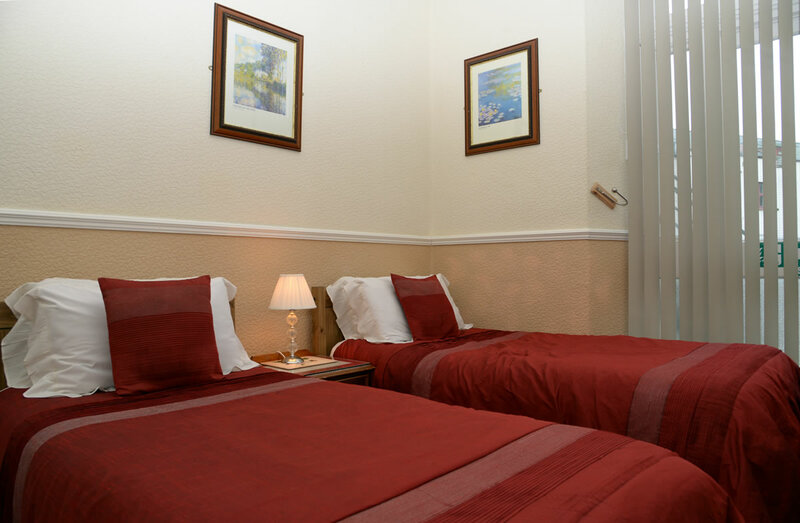 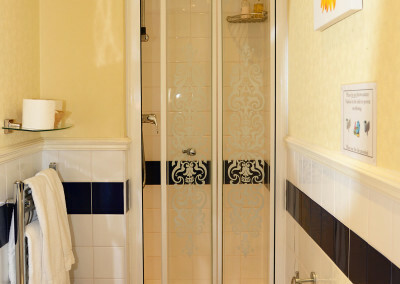 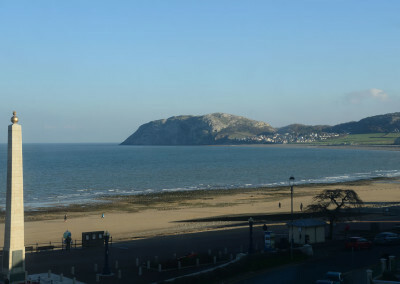 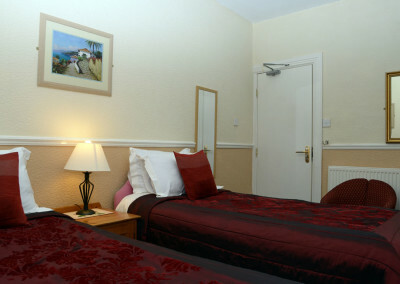 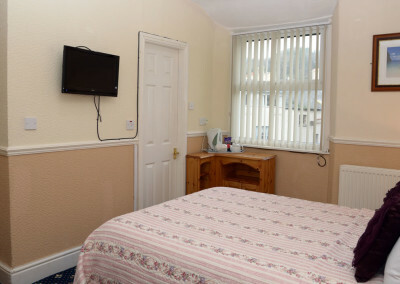 We have ground floor rooms for partially disabled. 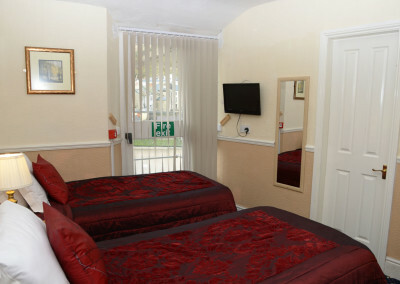 Free (Limited parking only) at the rear of hotel.